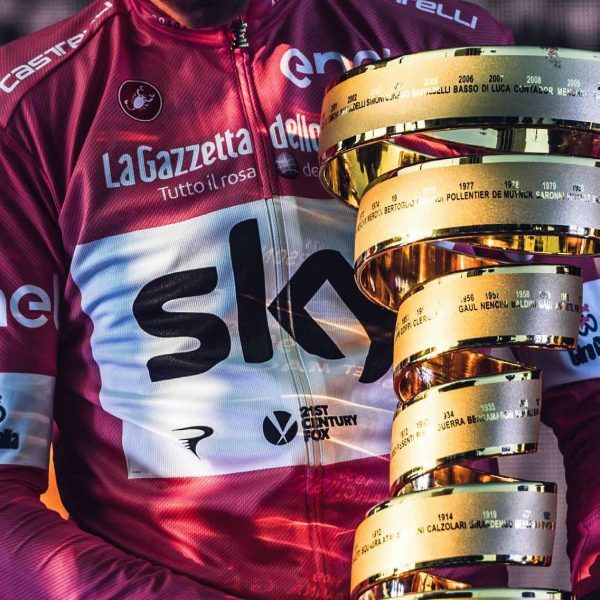 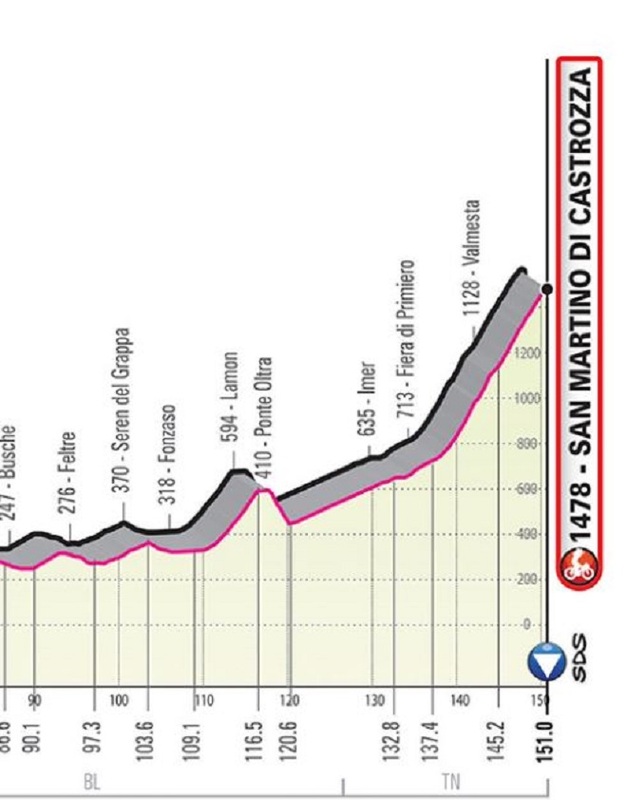 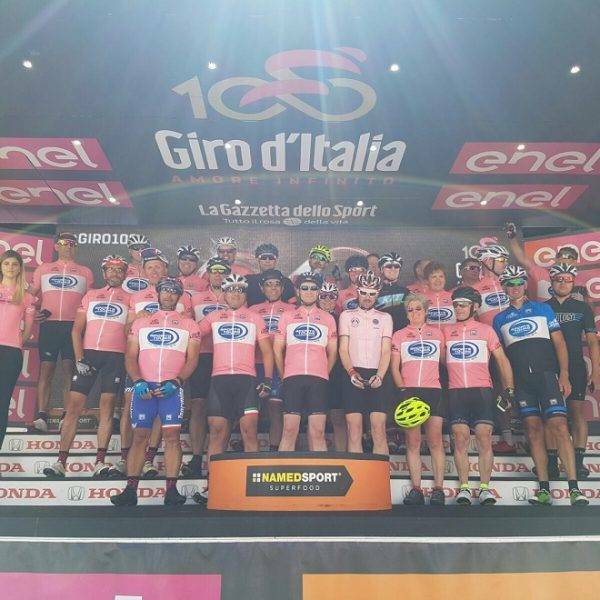 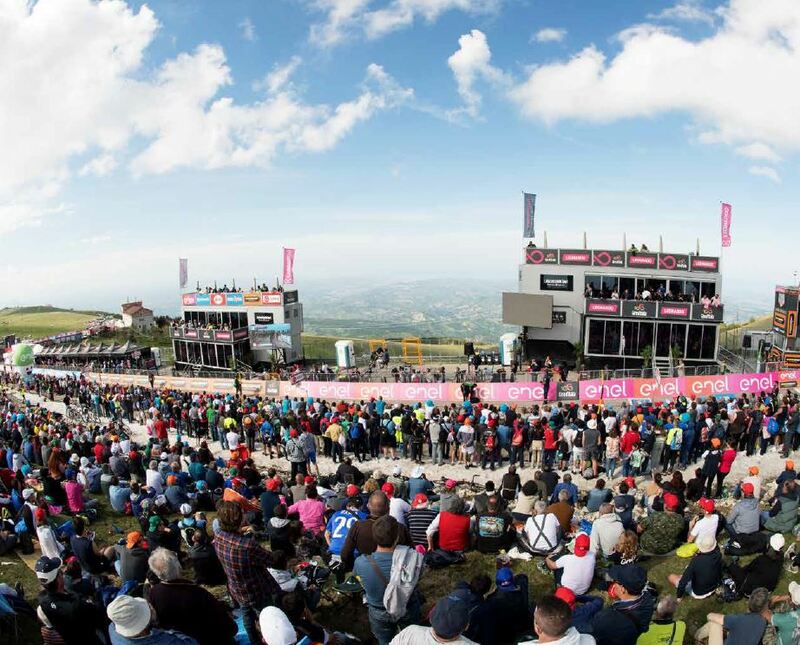 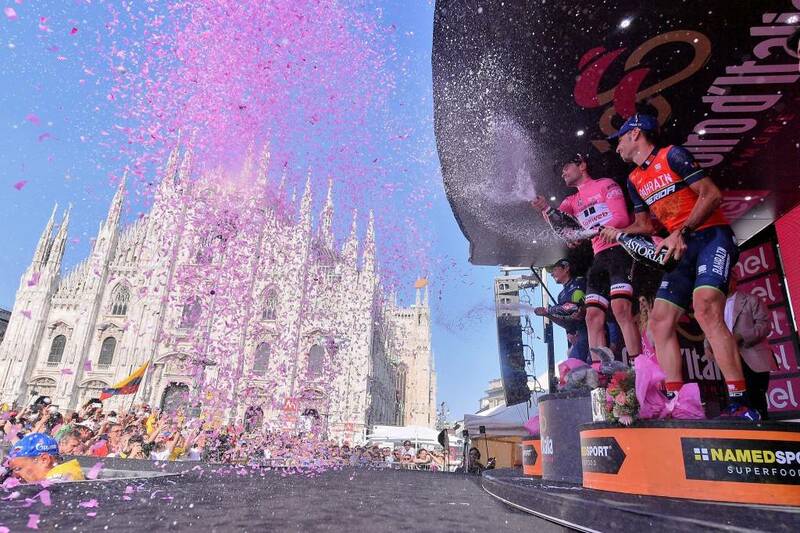 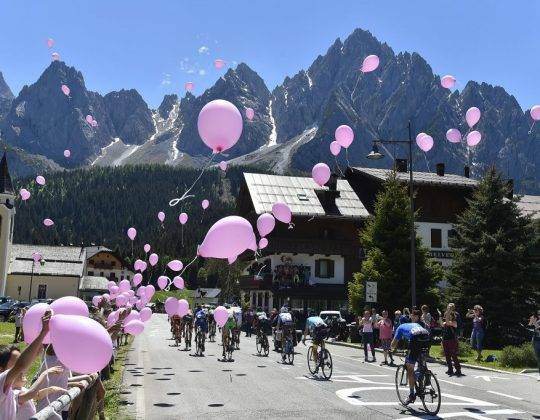 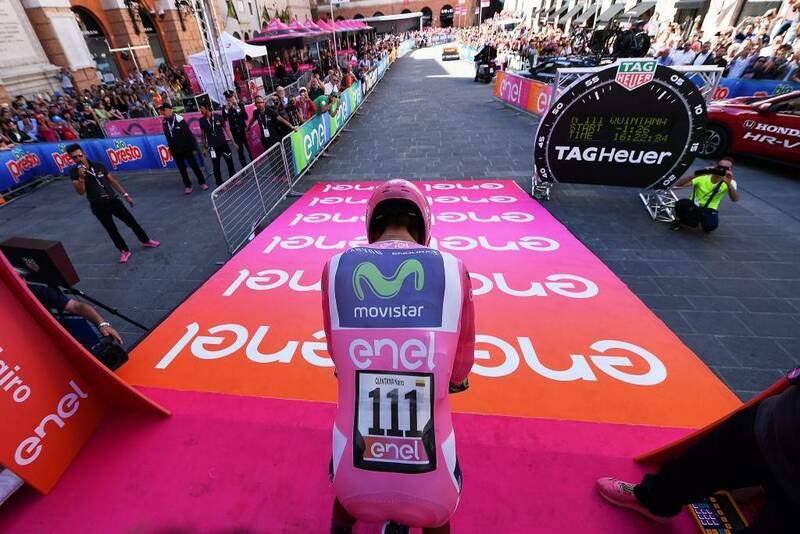 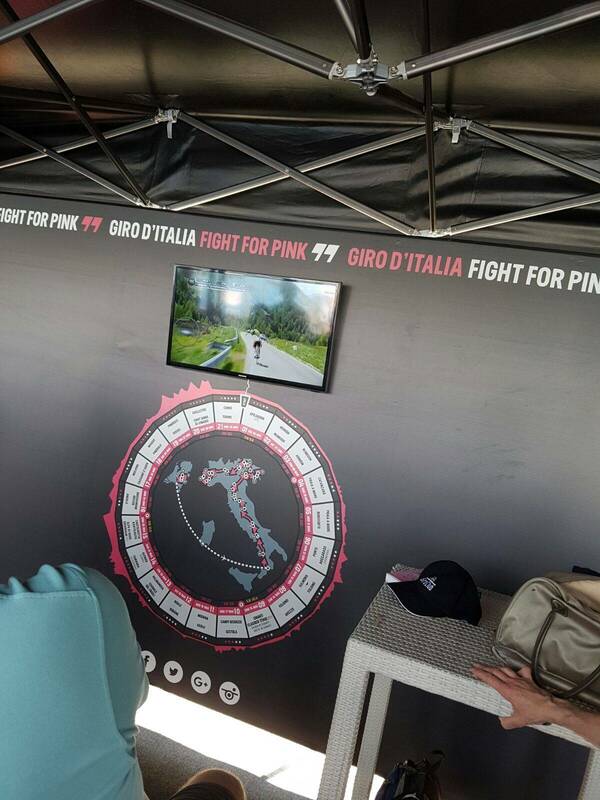 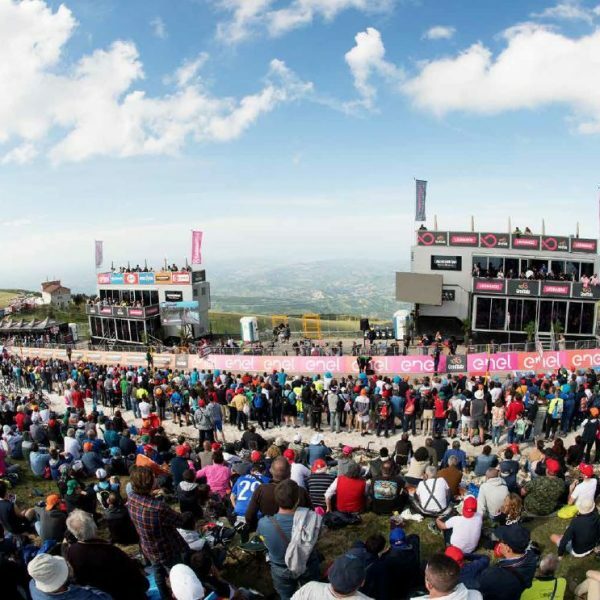 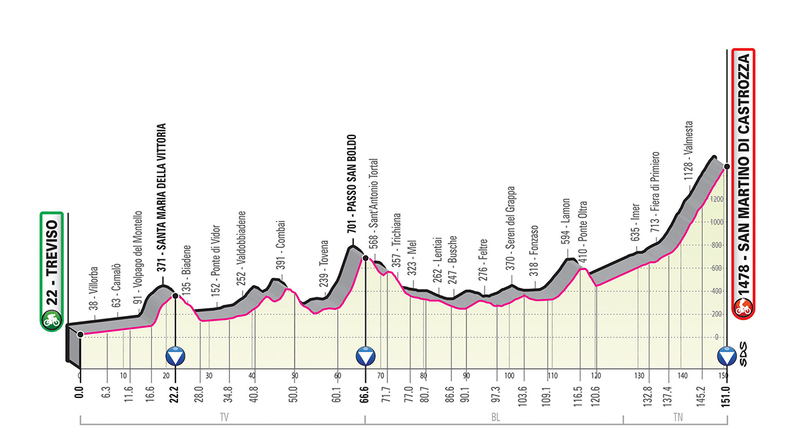 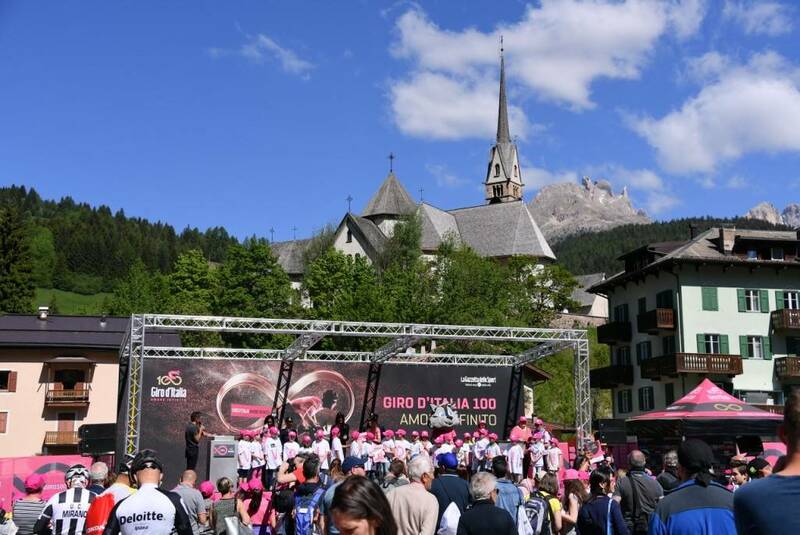 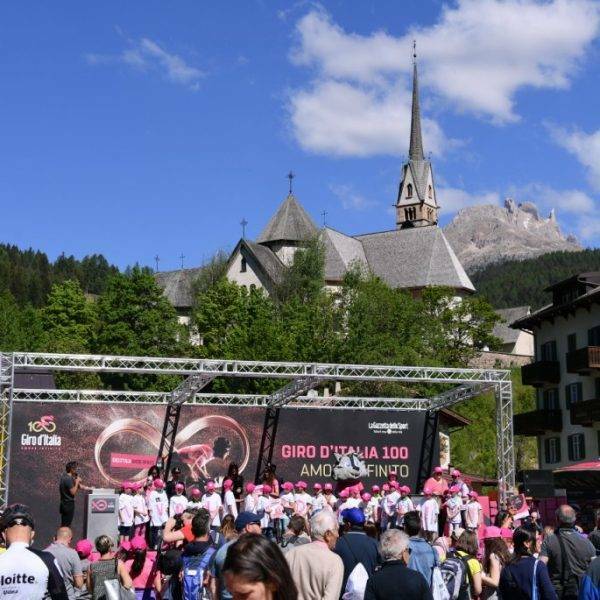 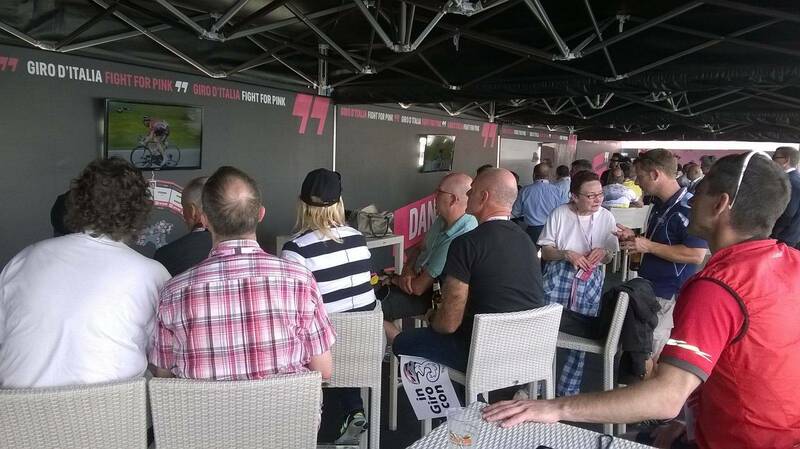 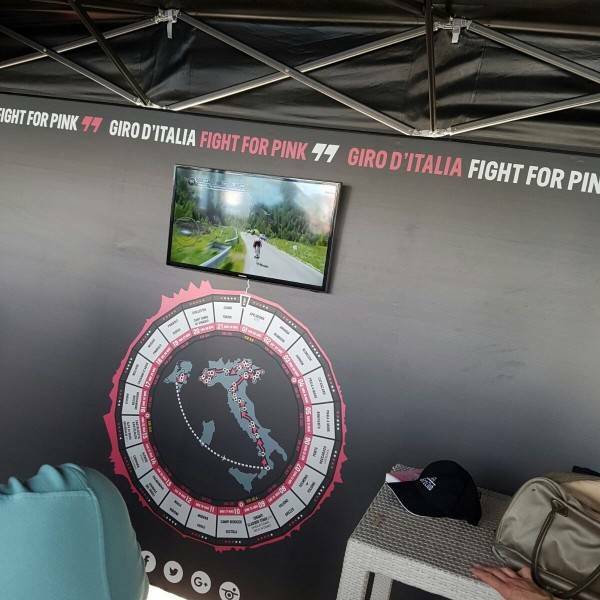 Watch the battle for Pink unfold on this fully supported 8 day tour to ride and watch the stages of the final week of the 2019 Giro d’Italia. 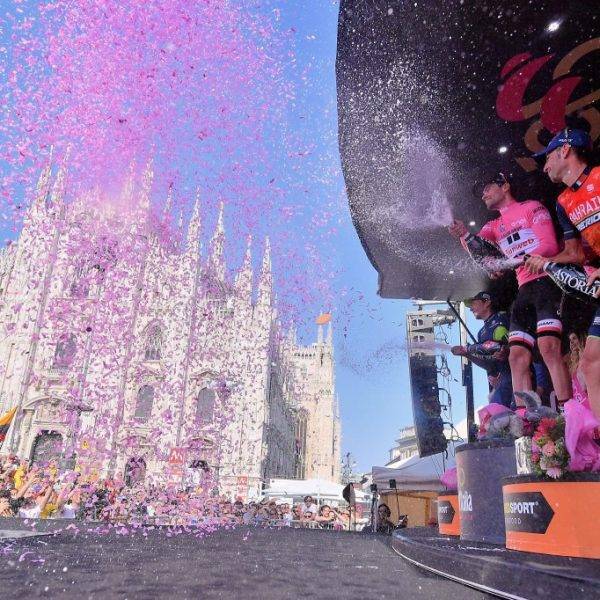 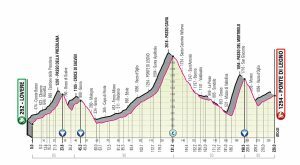 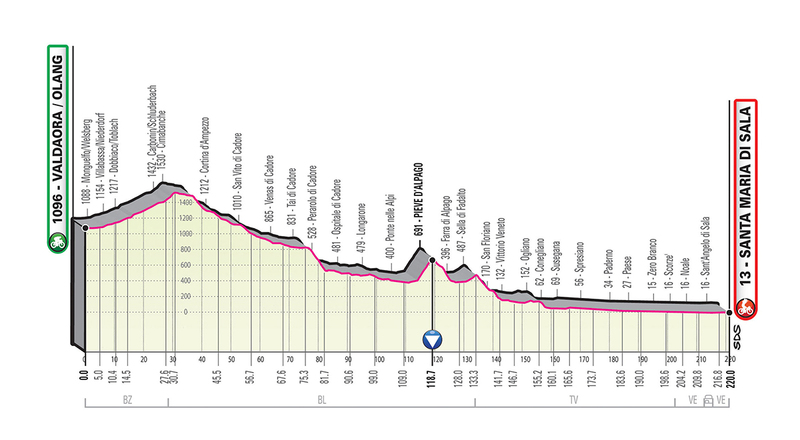 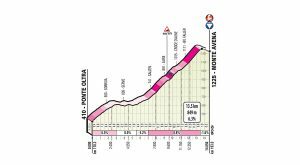 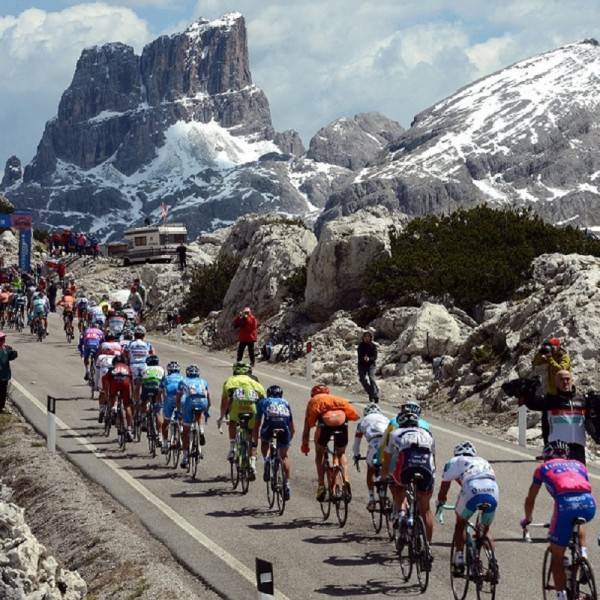 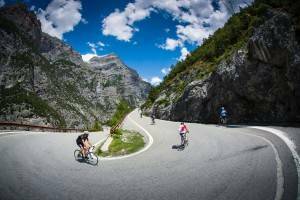 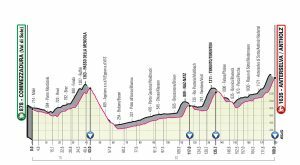 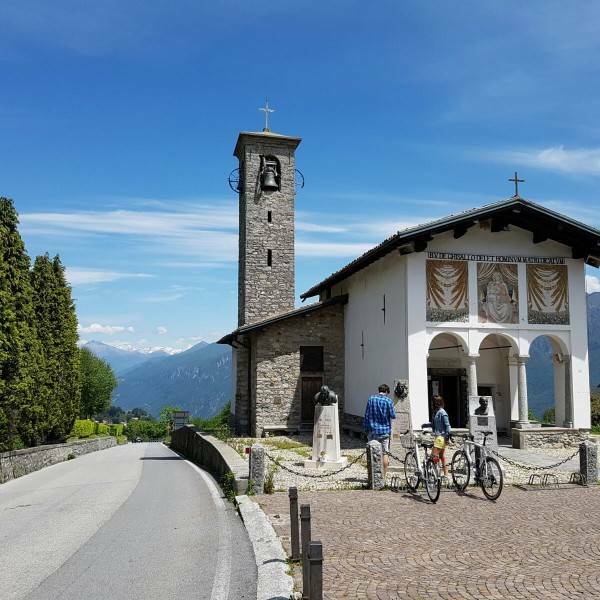 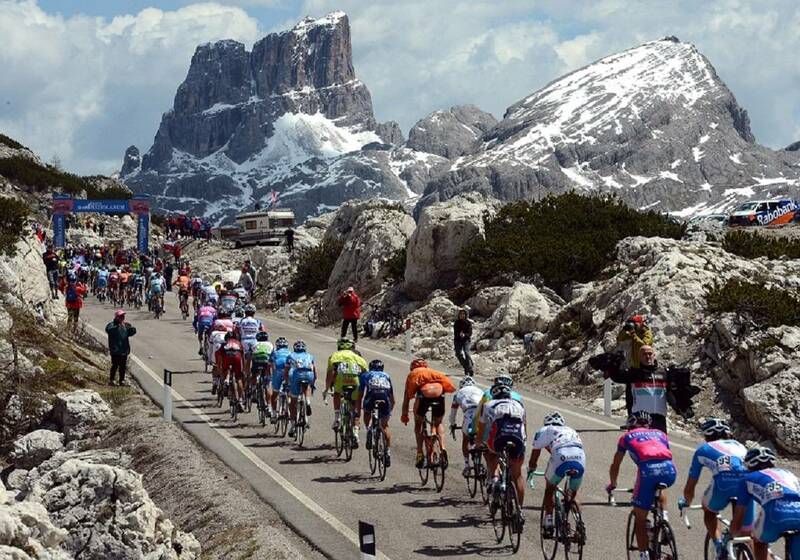 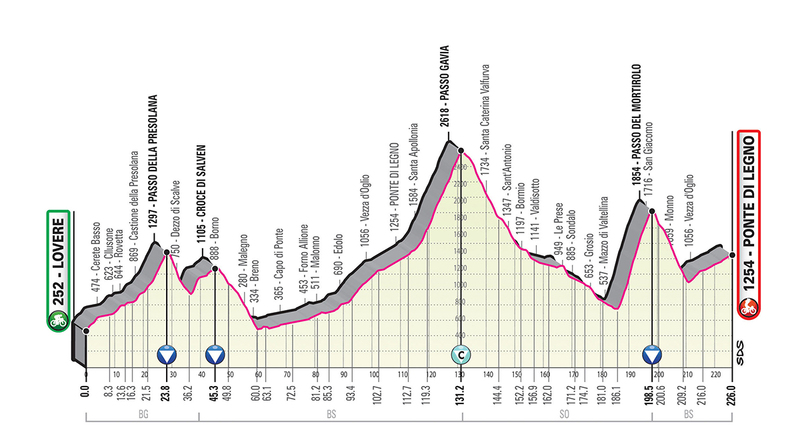 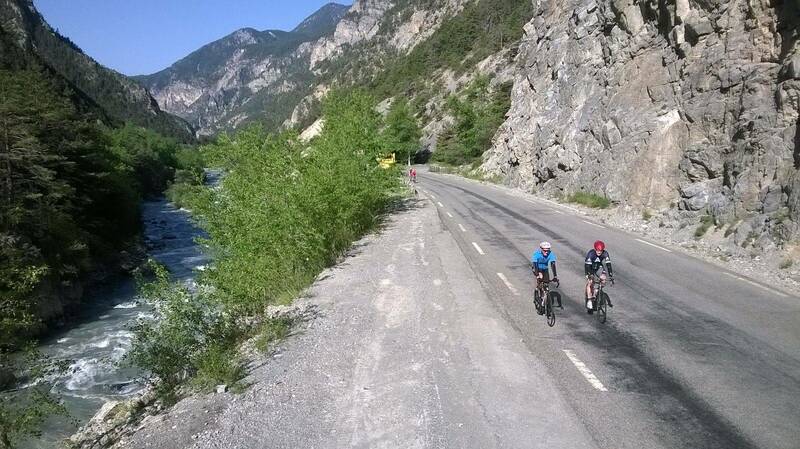 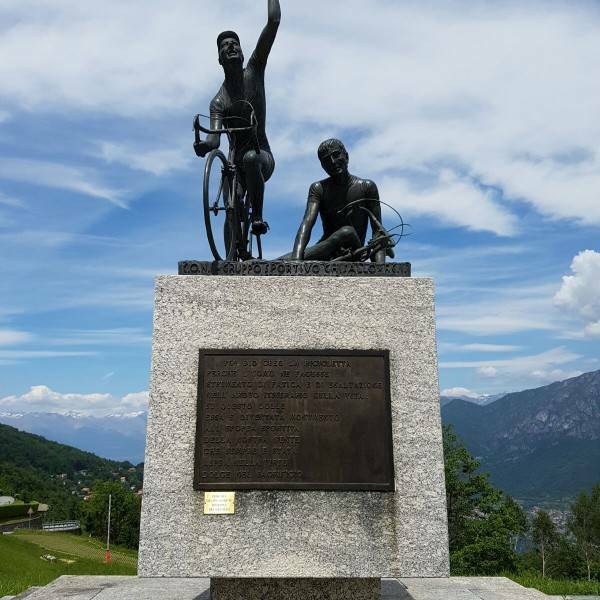 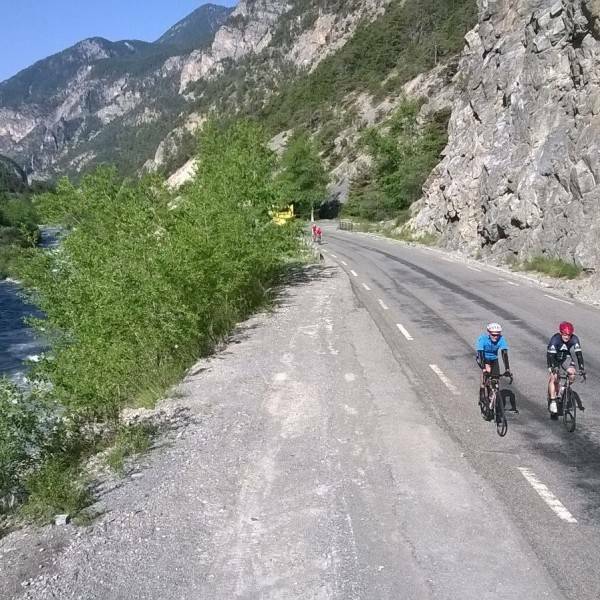 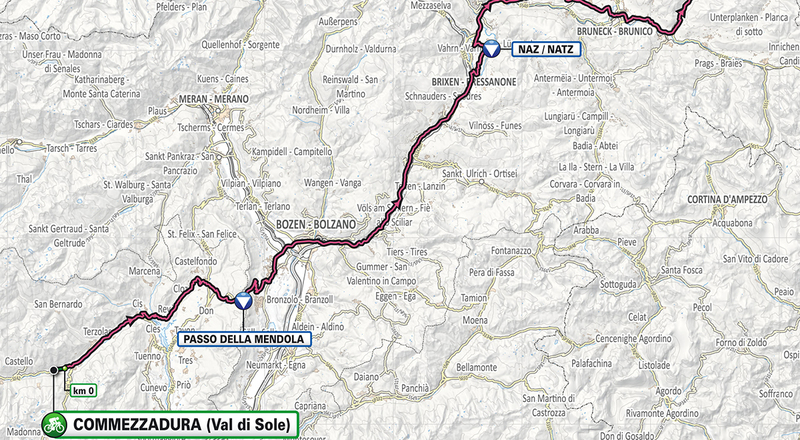 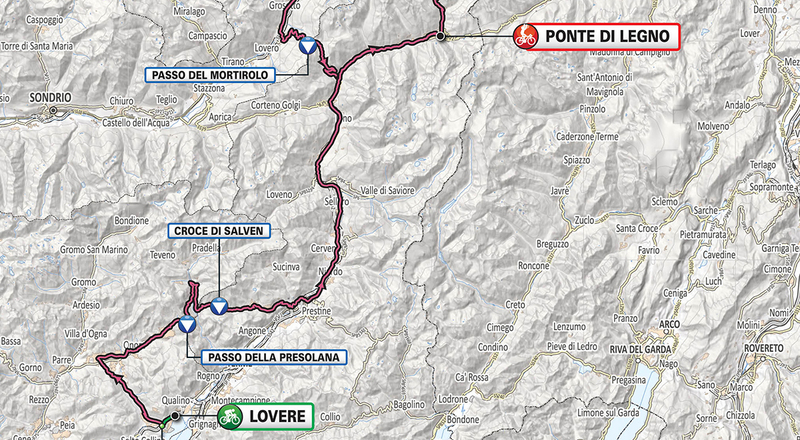 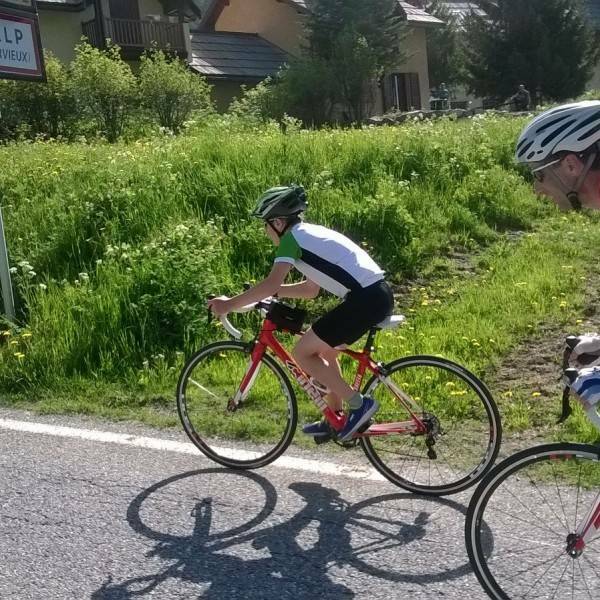 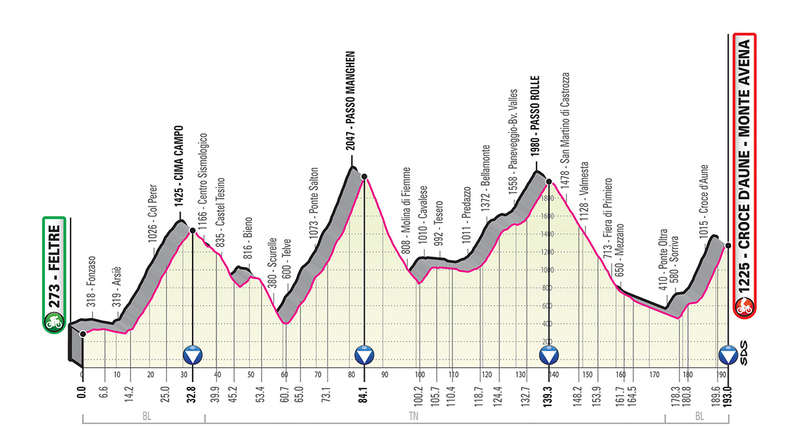 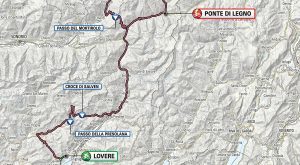 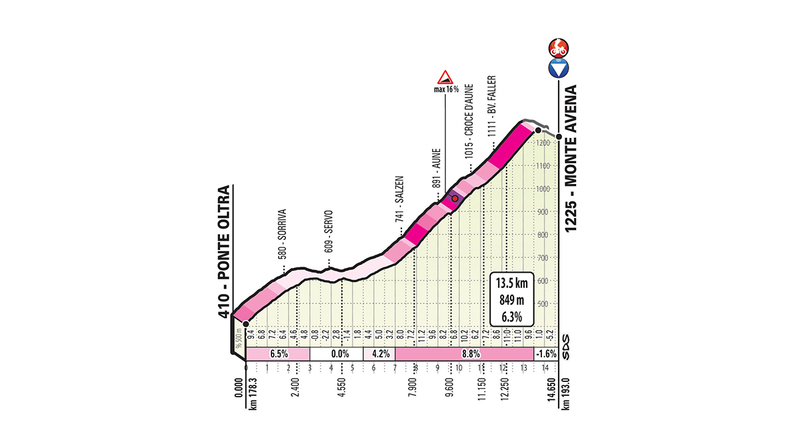 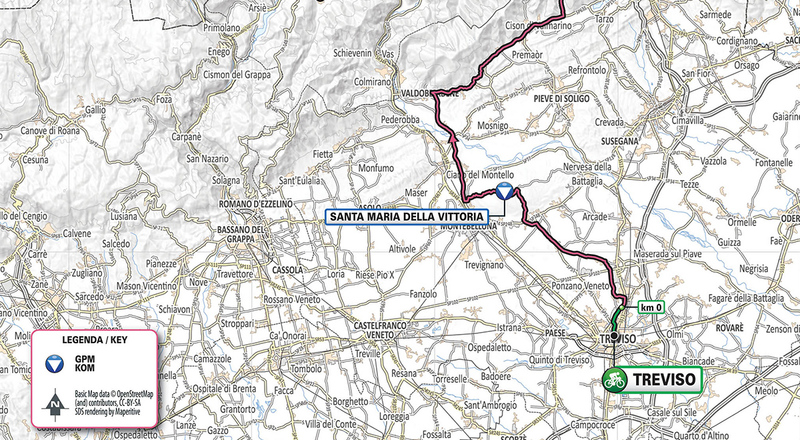 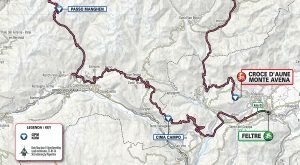 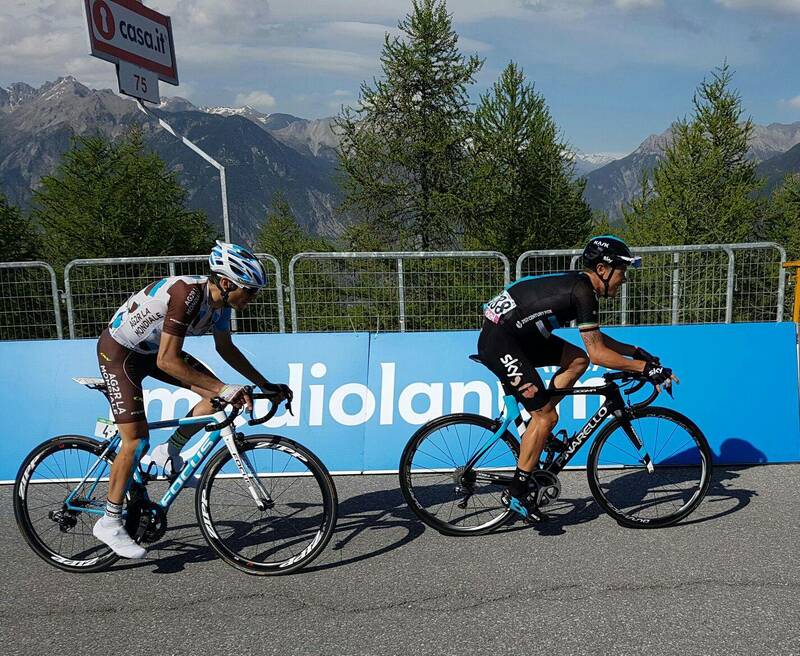 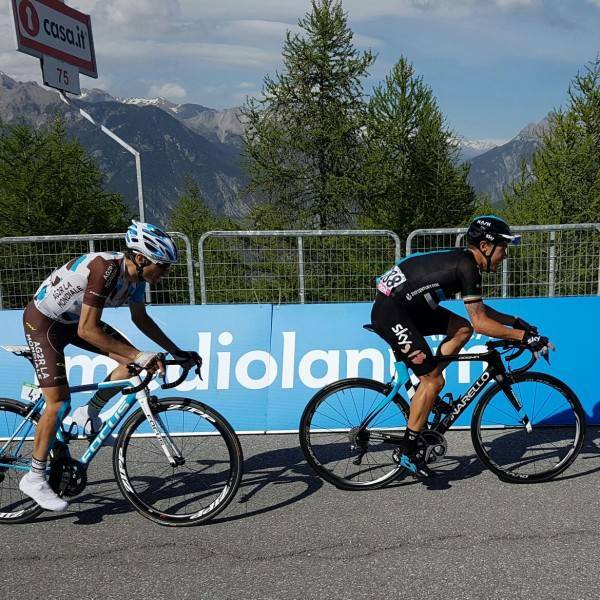 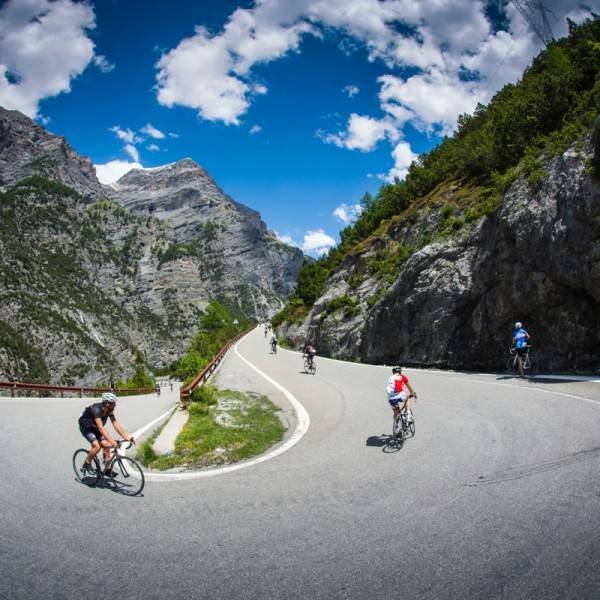 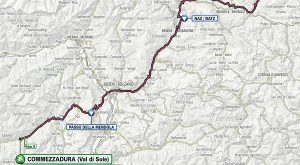 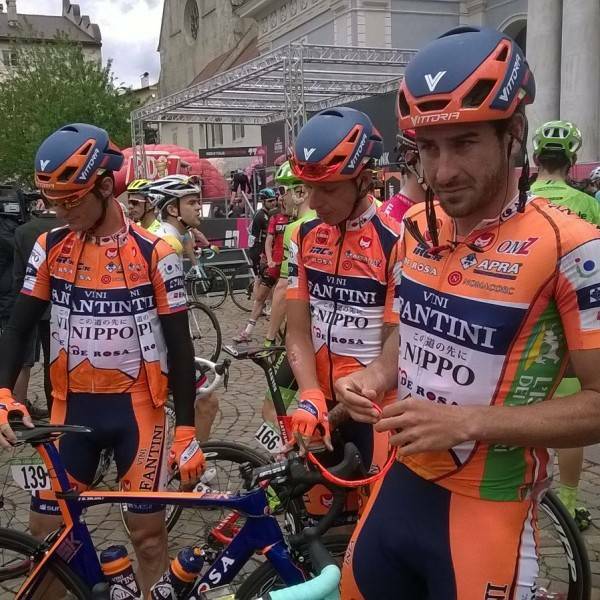 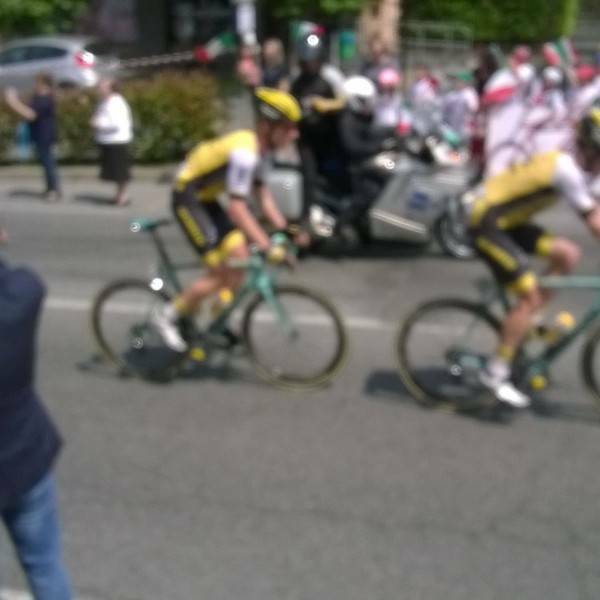 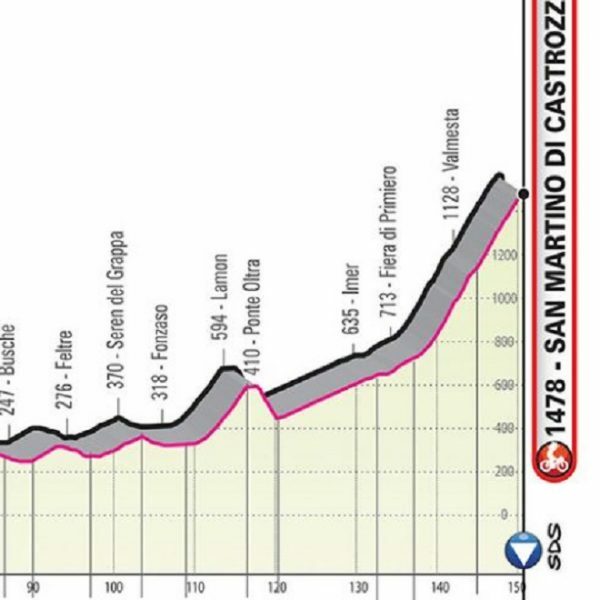 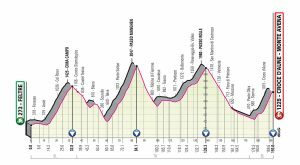 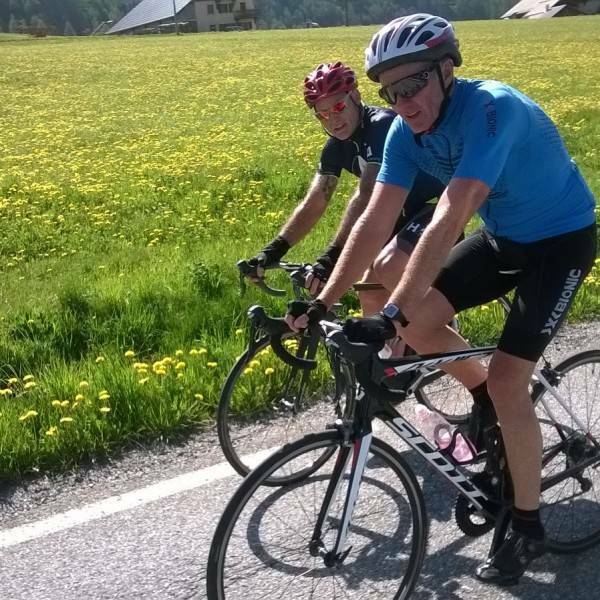 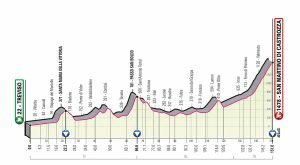 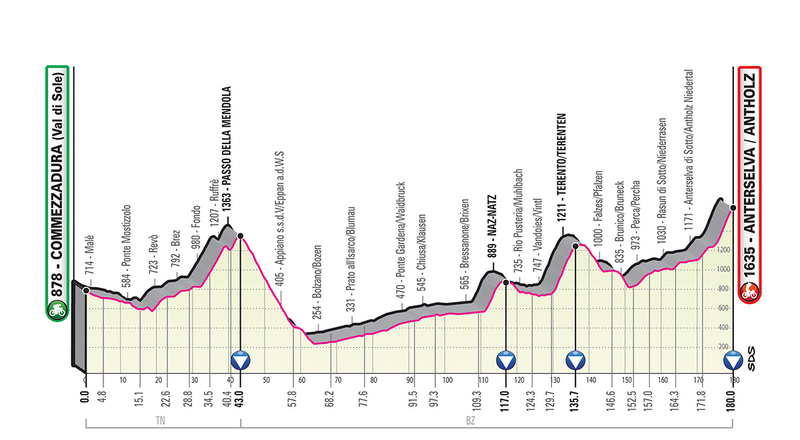 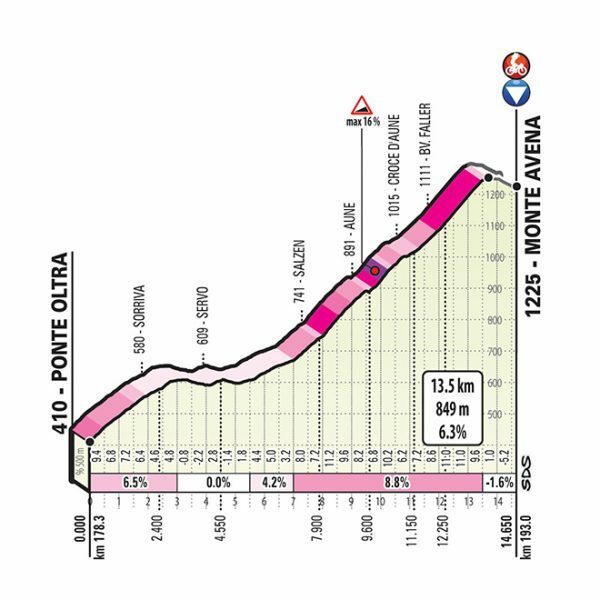 Arrive on the Giro rest day and we follow the race all the way from Bormio at the foot of the Stelvio to Verona and you will witness the Queen stages in the Alps and the Dolomites. 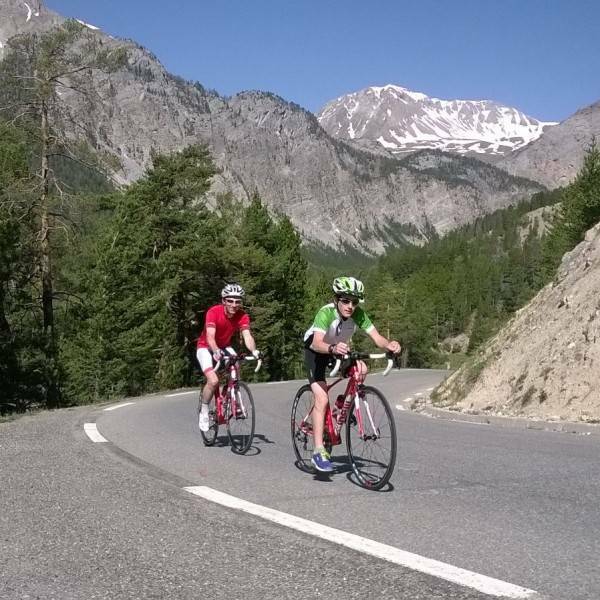 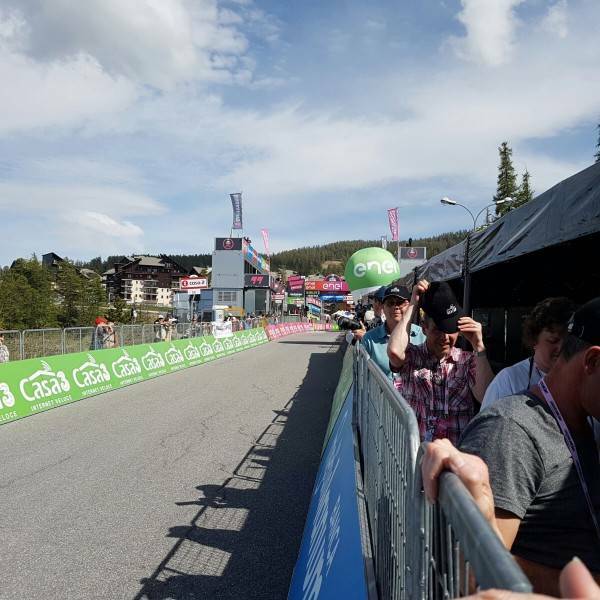 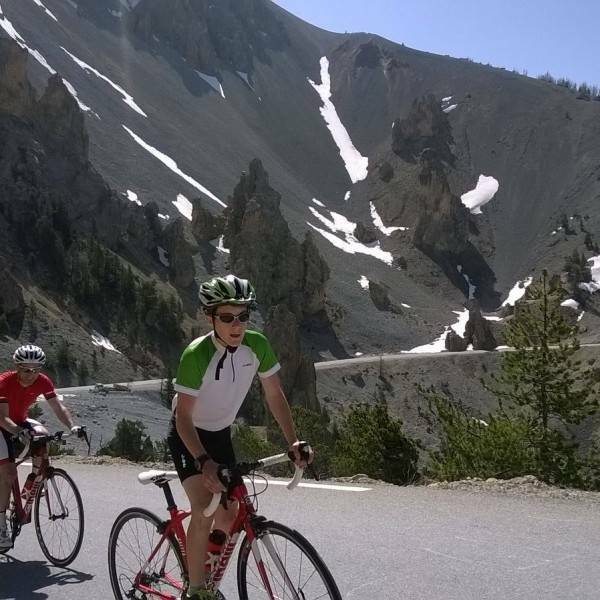 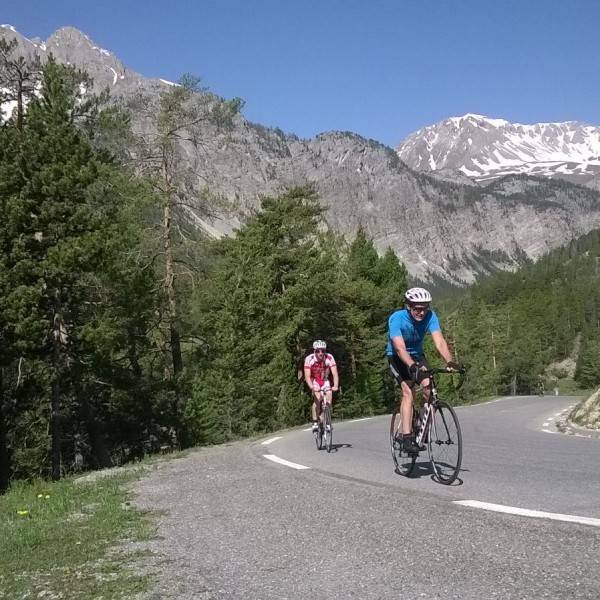 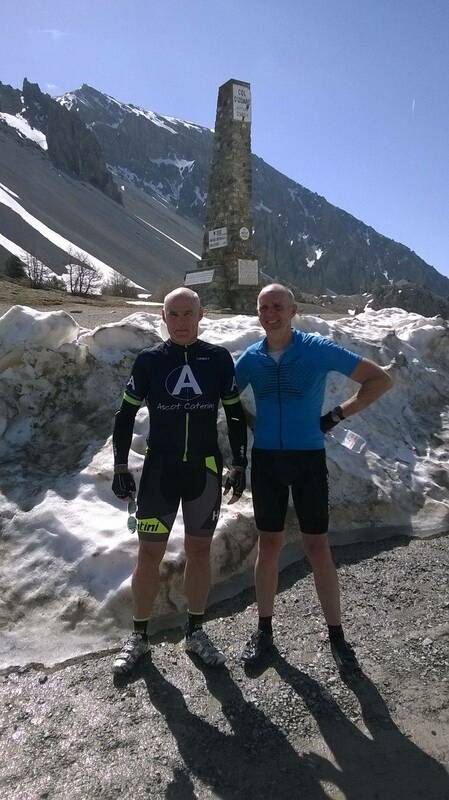 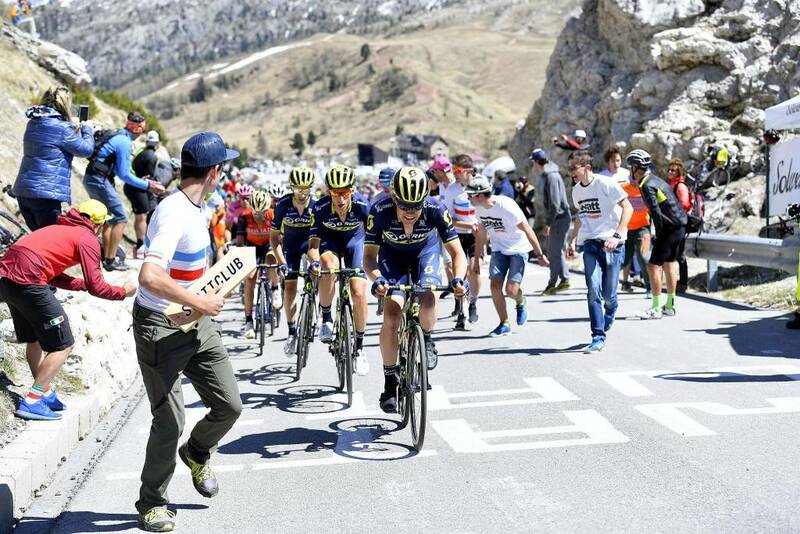 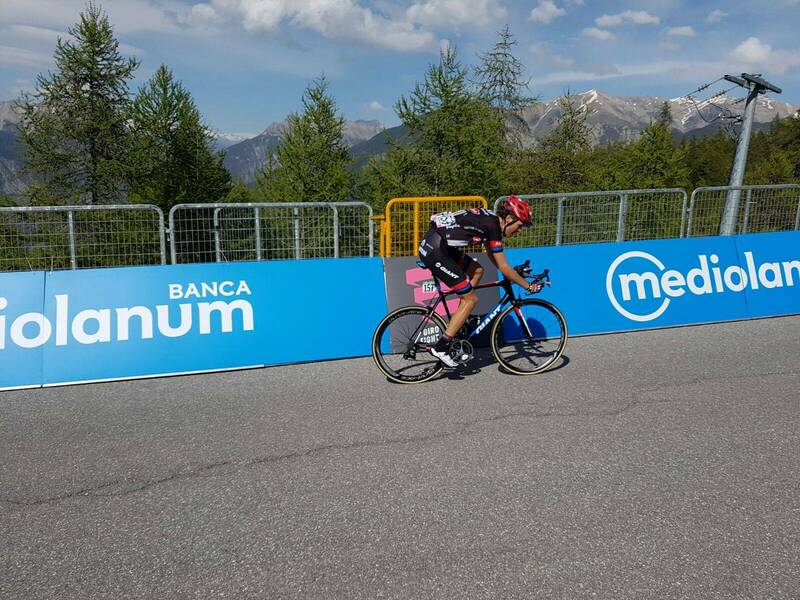 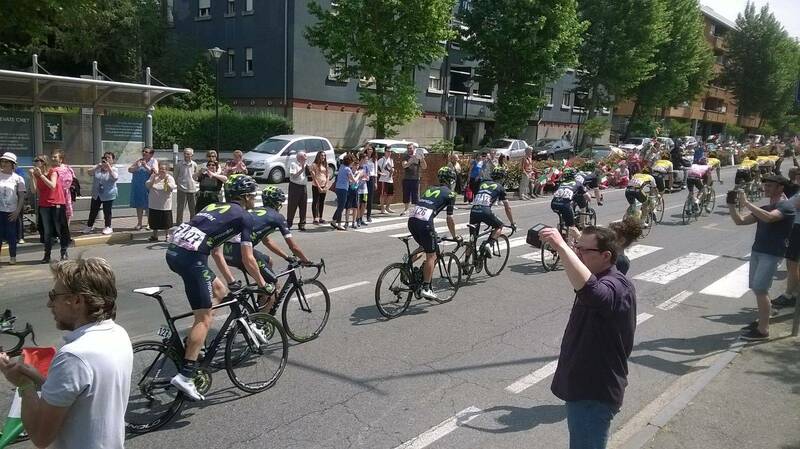 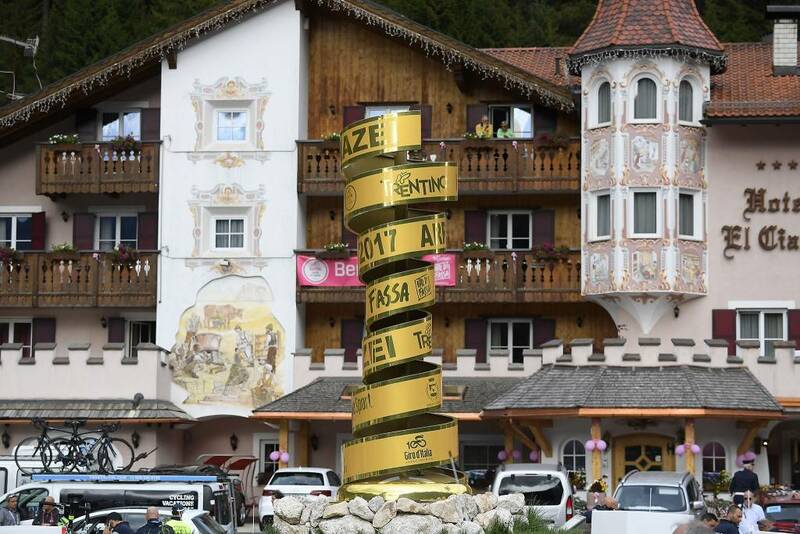 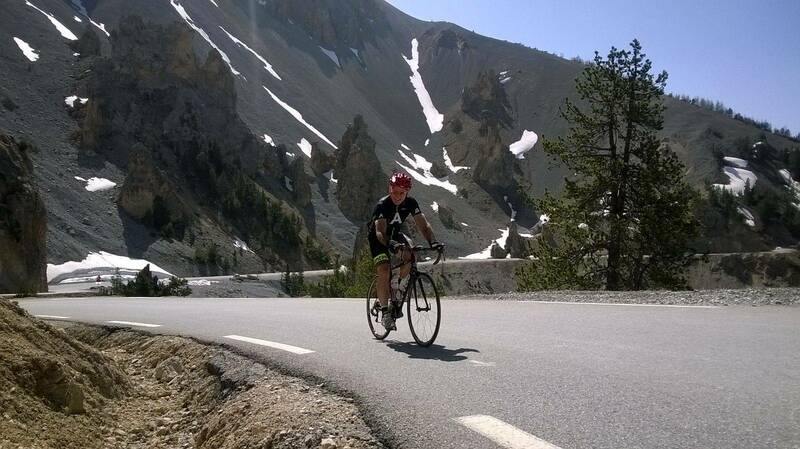 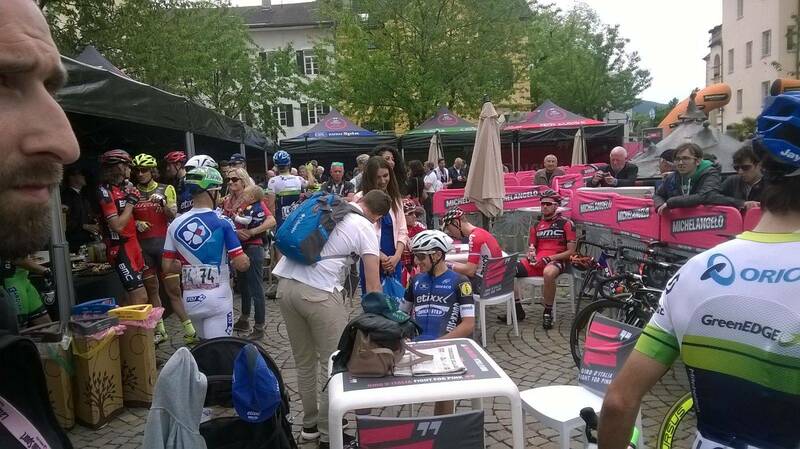 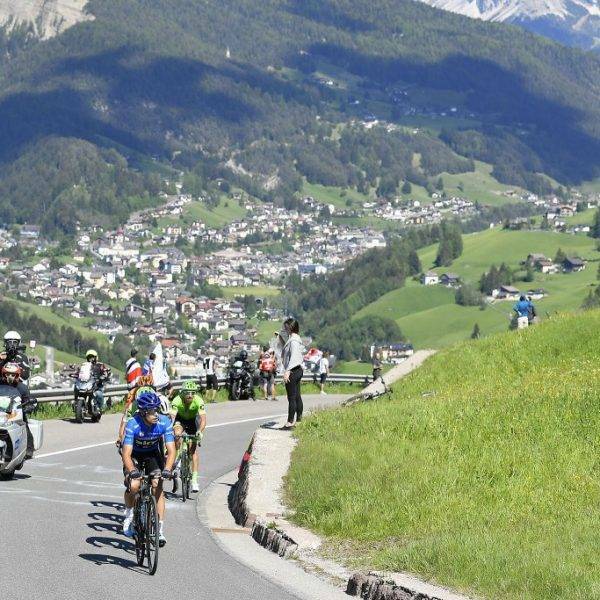 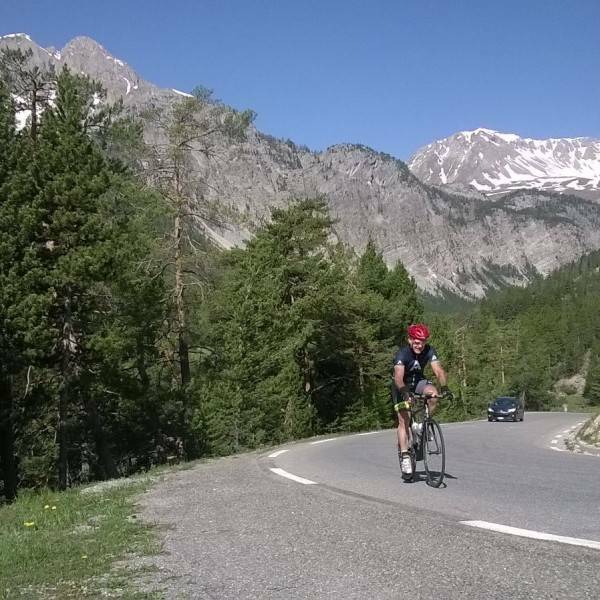 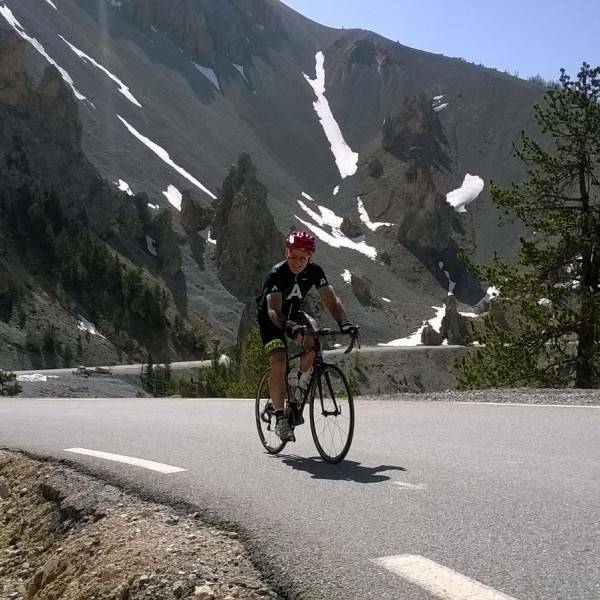 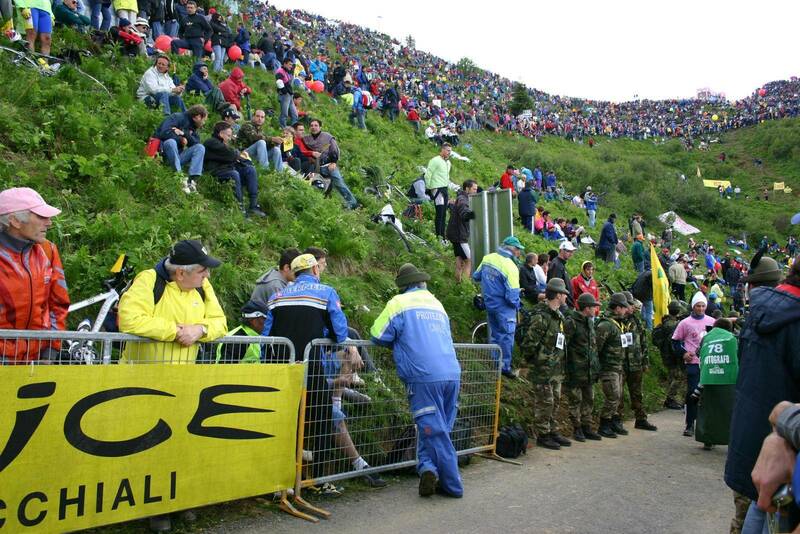 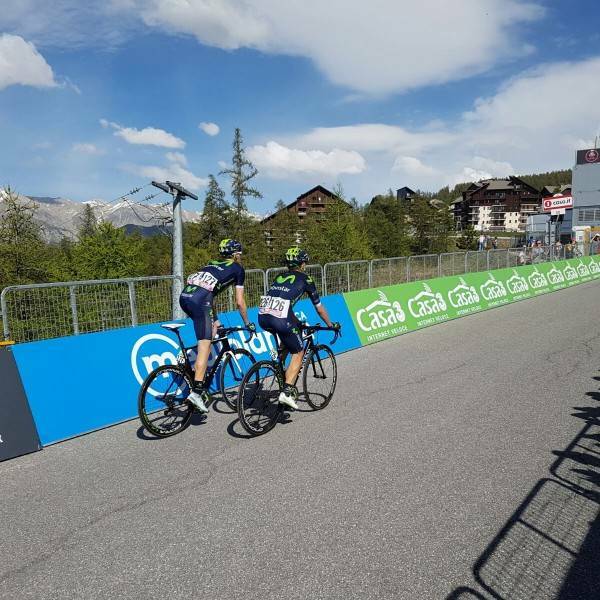 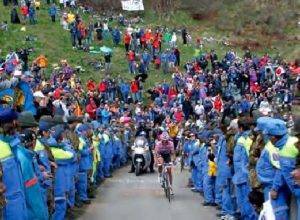 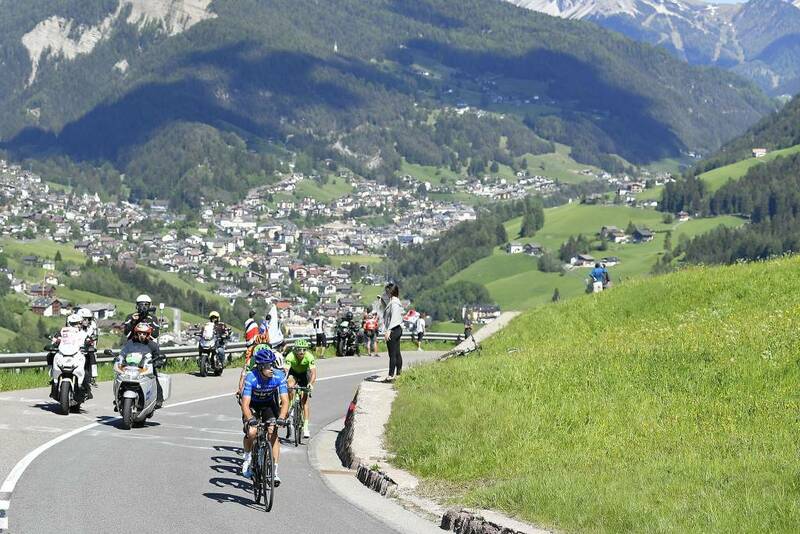 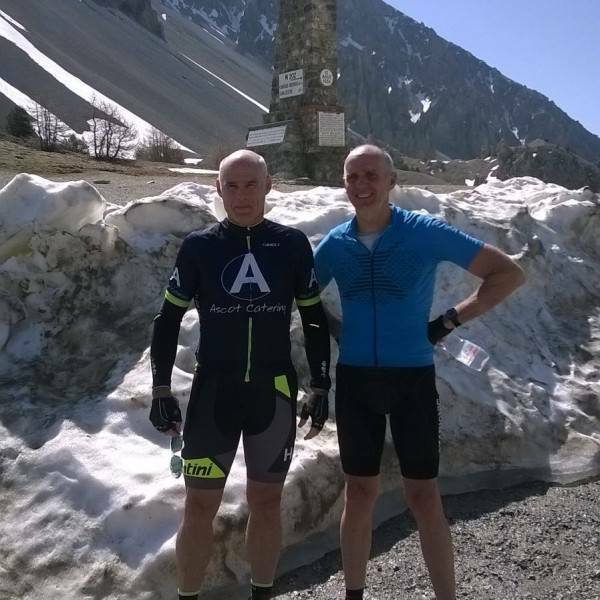 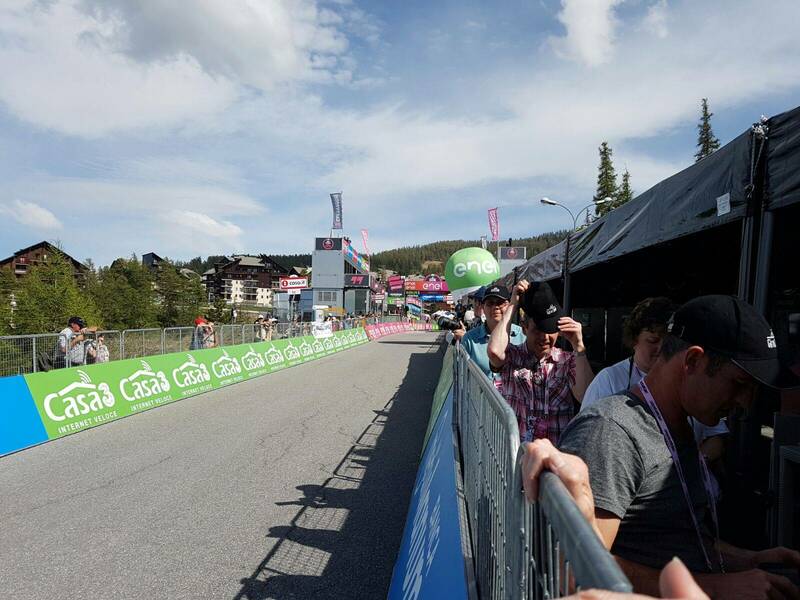 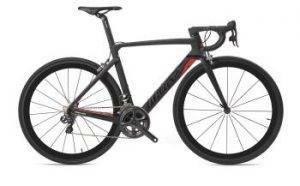 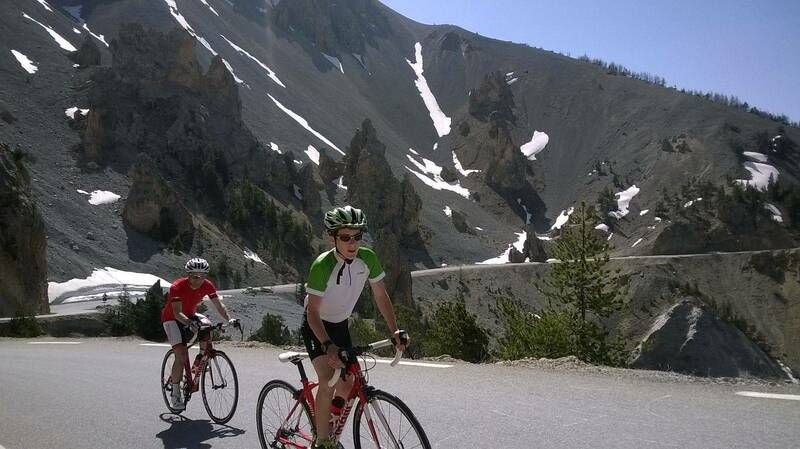 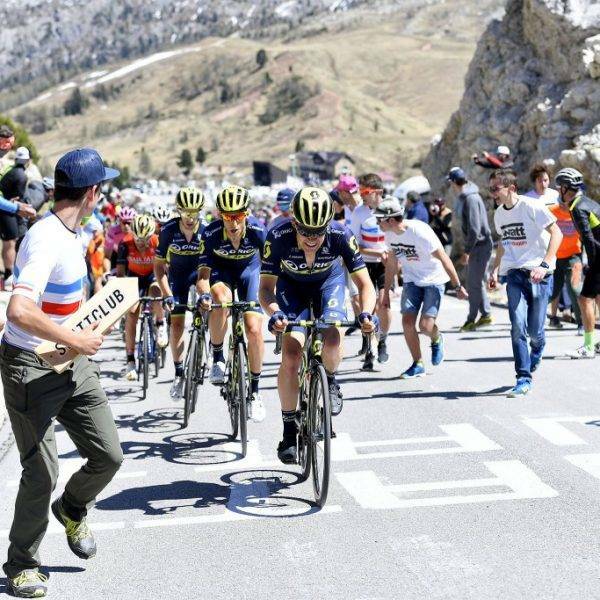 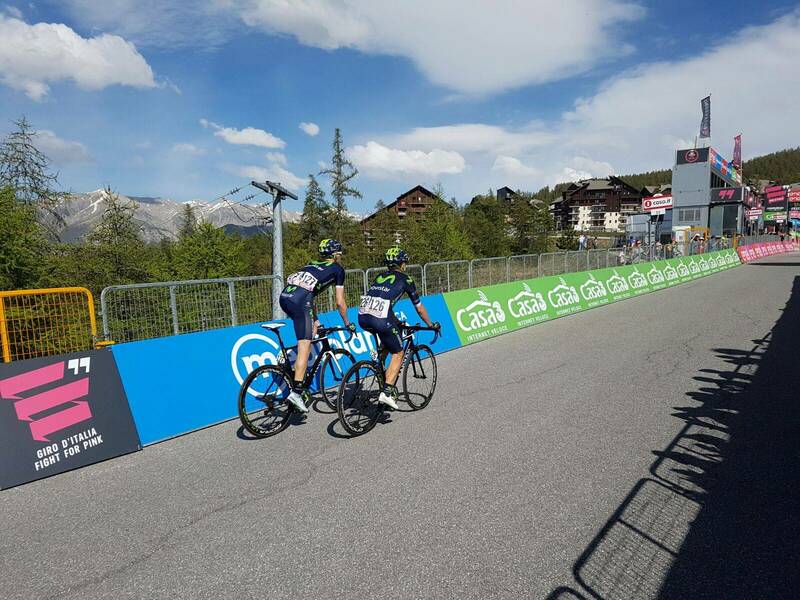 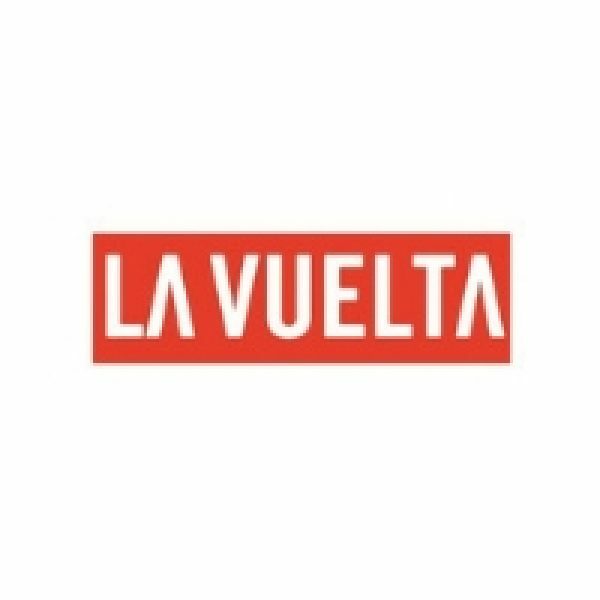 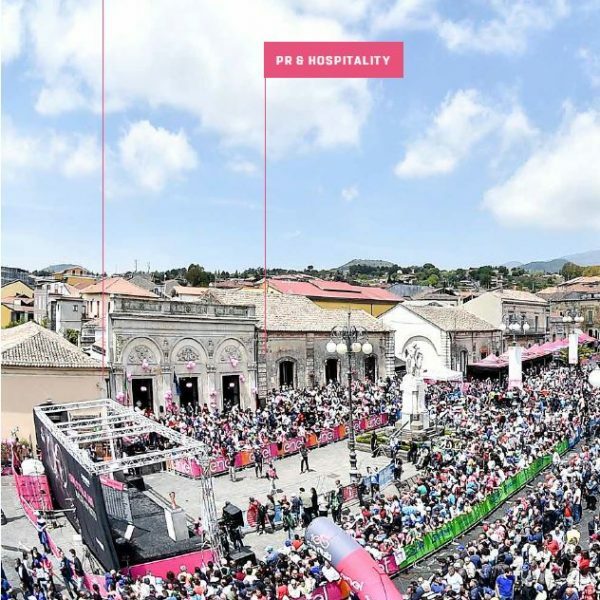 Both spectators and cyclists will enjoy VIP hospitality on the mountain stages and cyclists will like the opportunity to tackle famous Giro climbs like the the Stelvio. 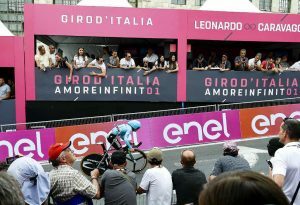 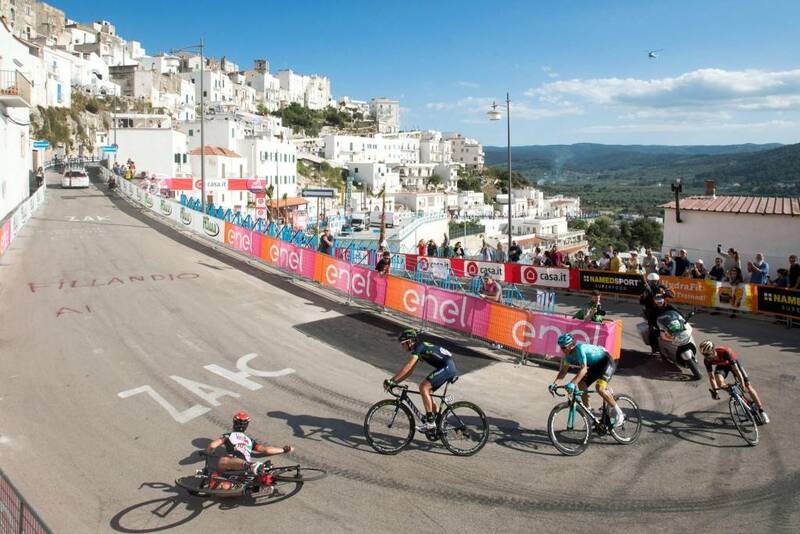 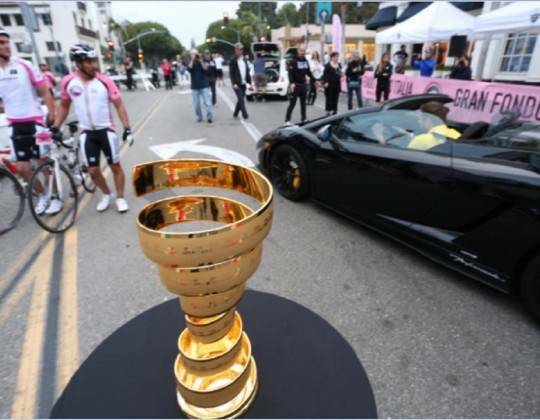 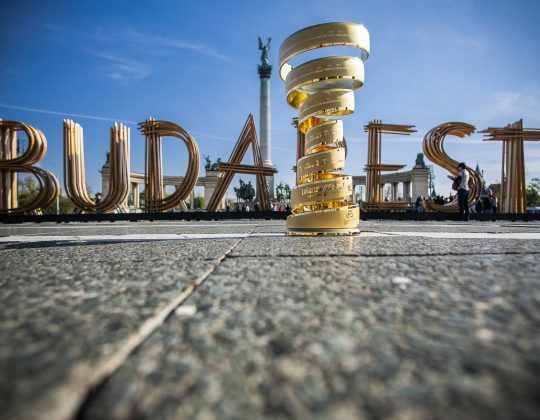 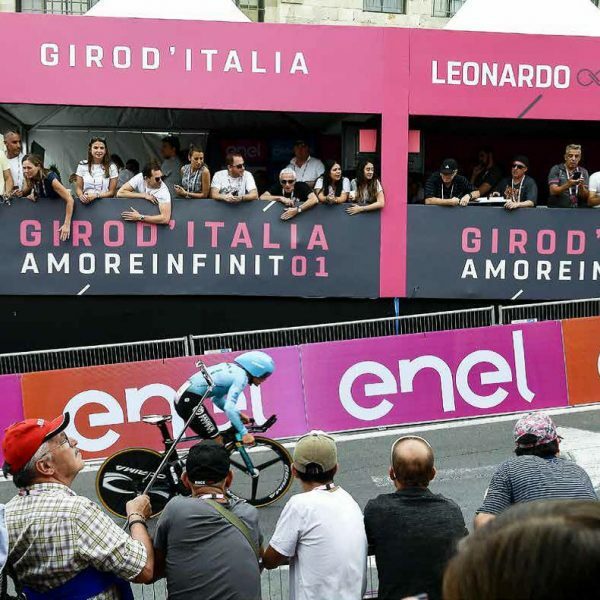 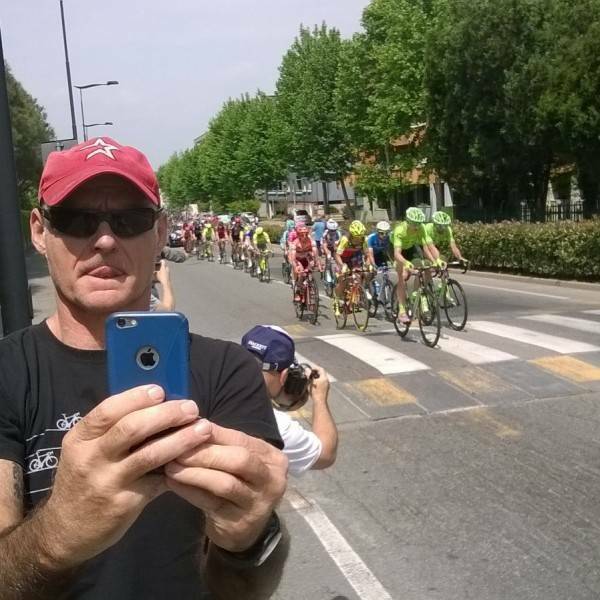 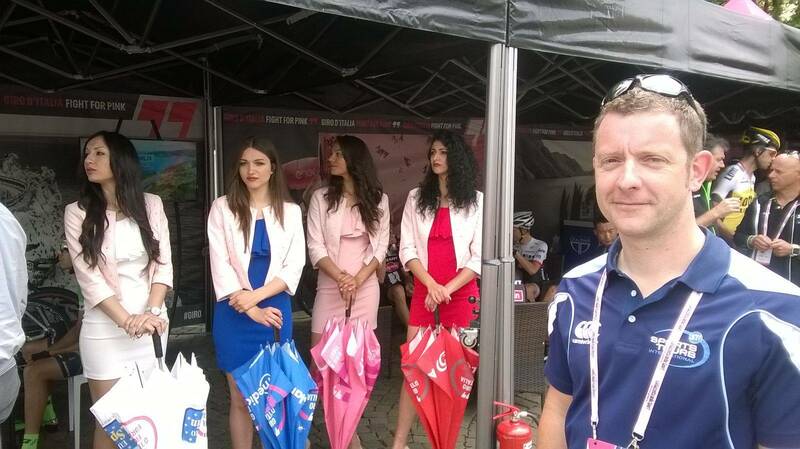 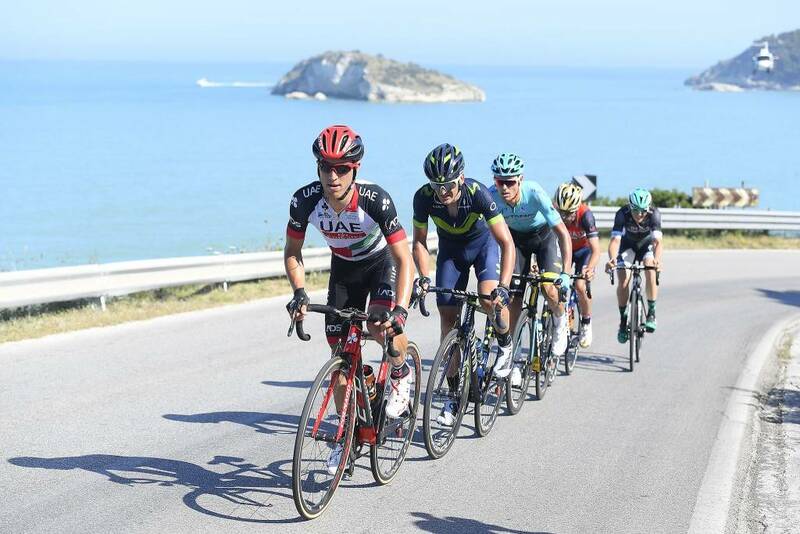 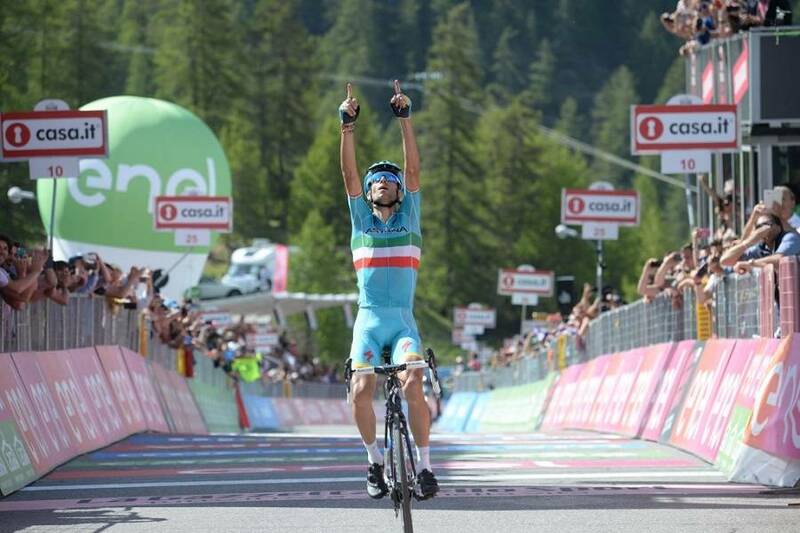 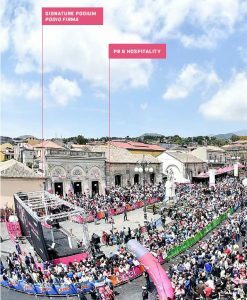 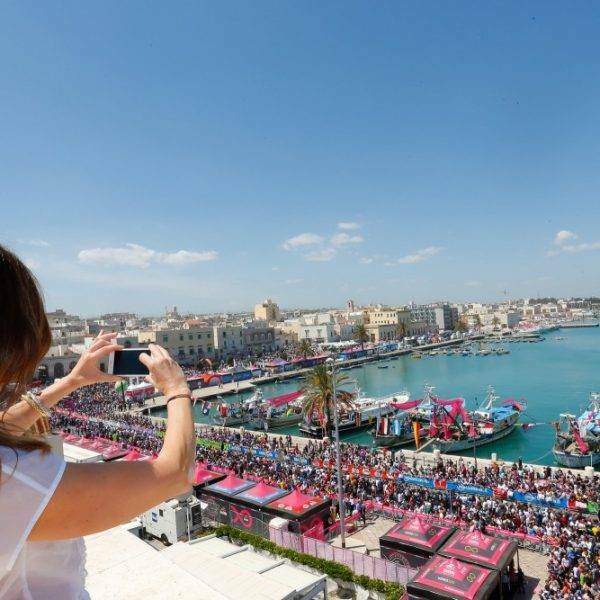 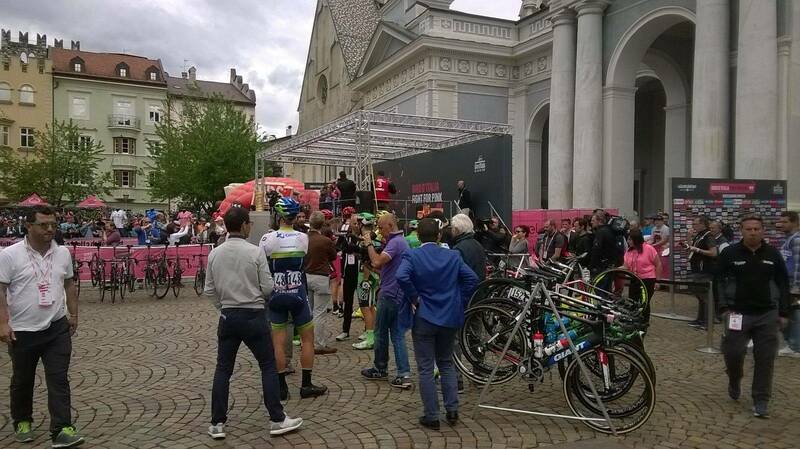 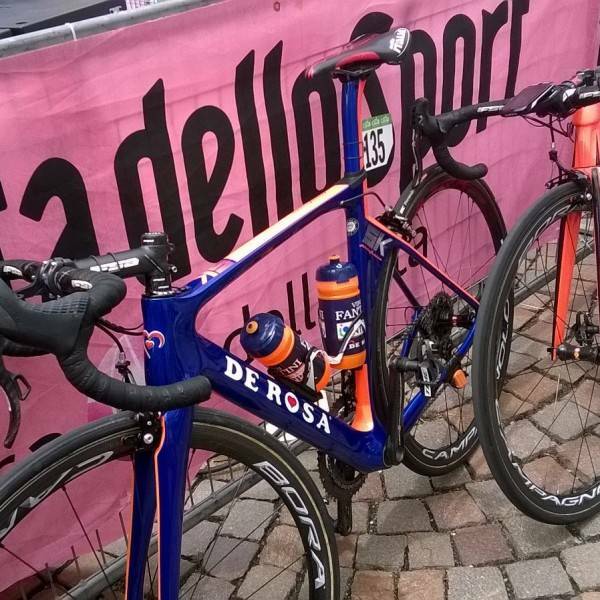 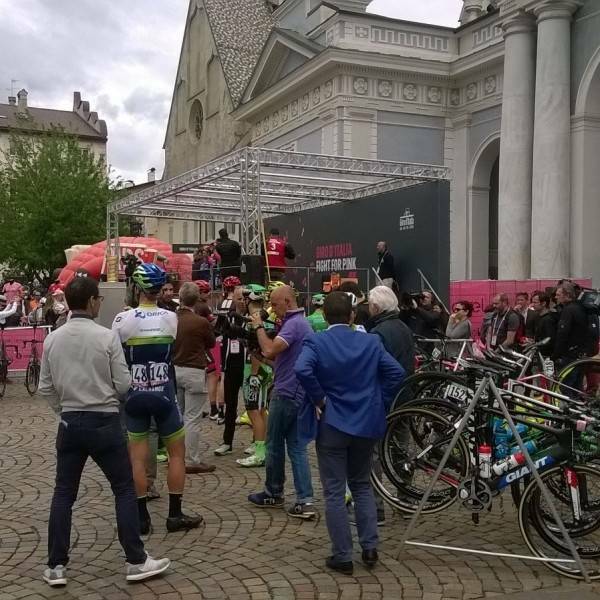 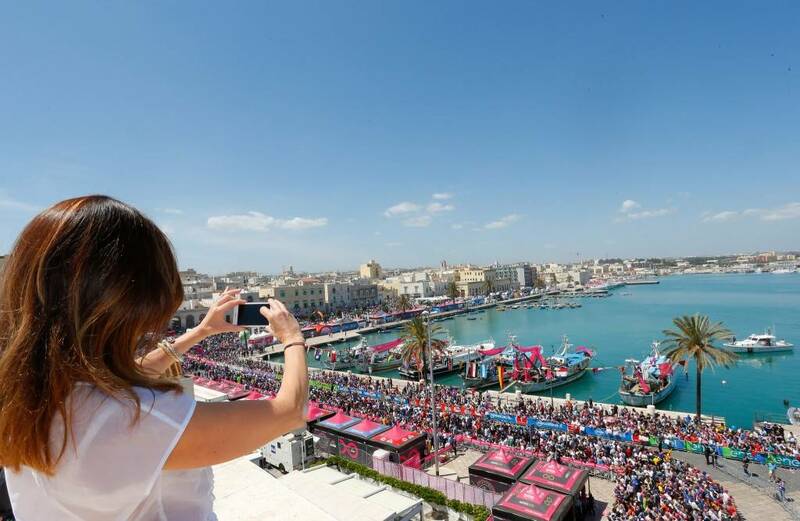 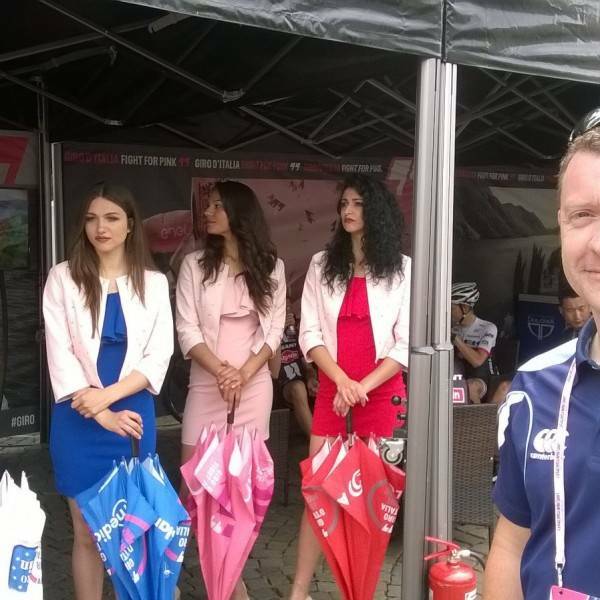 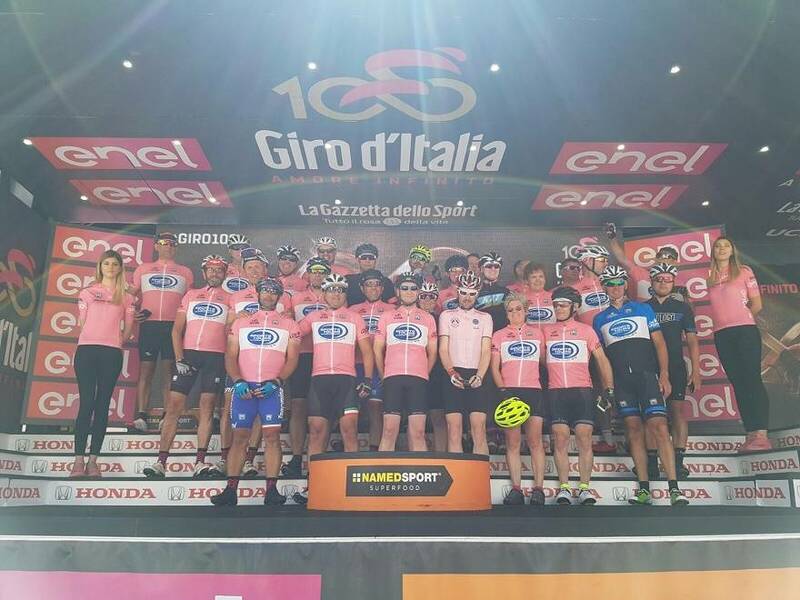 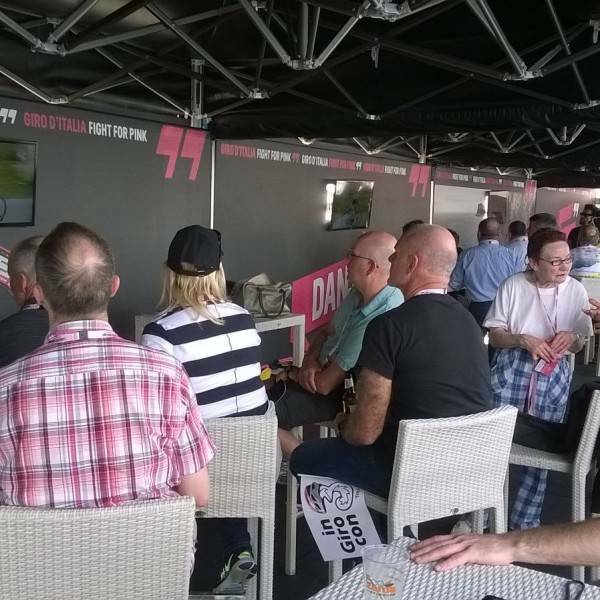 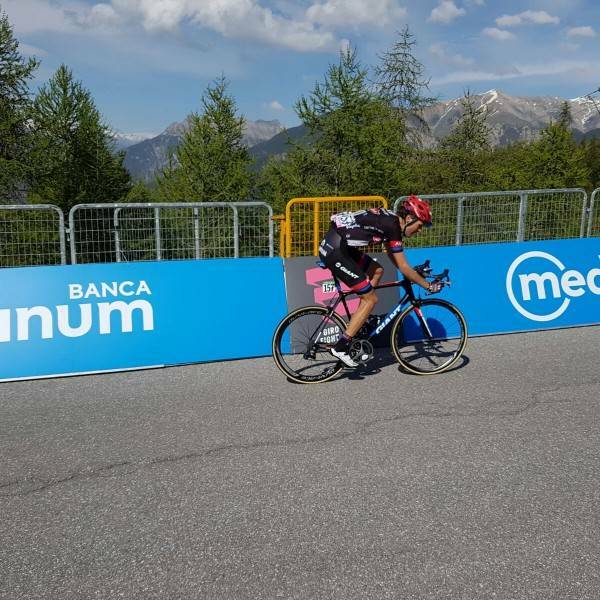 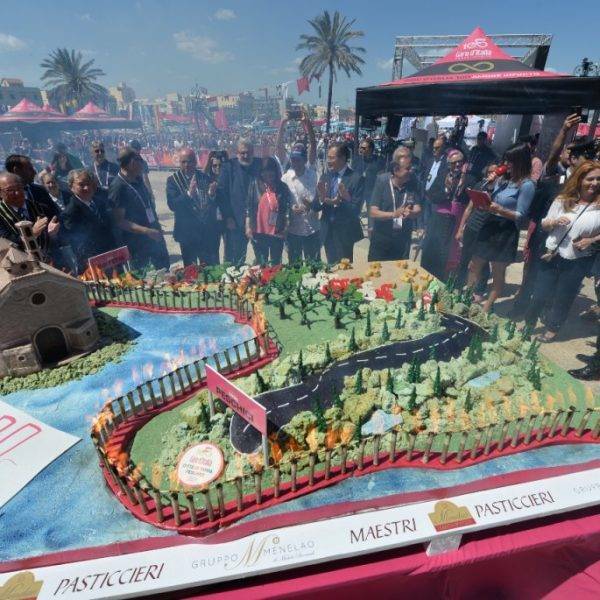 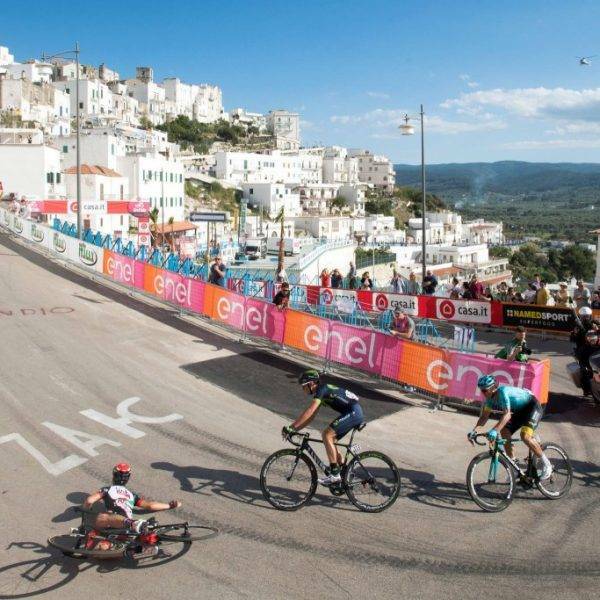 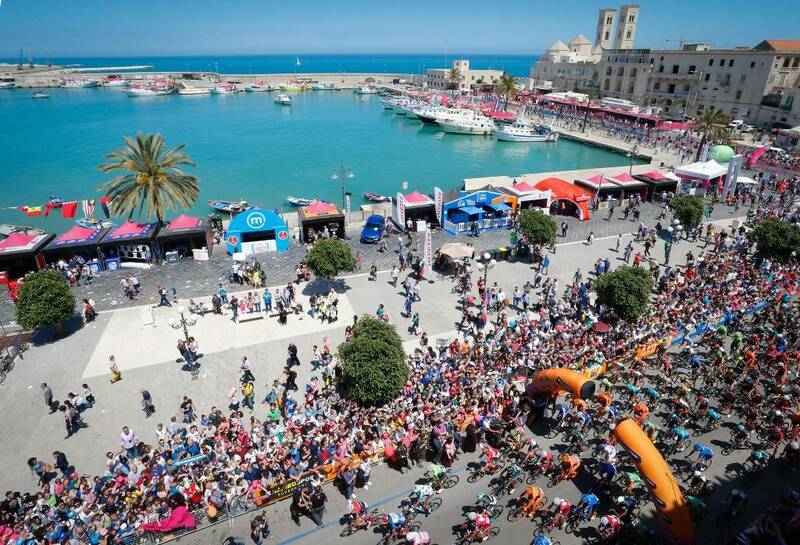 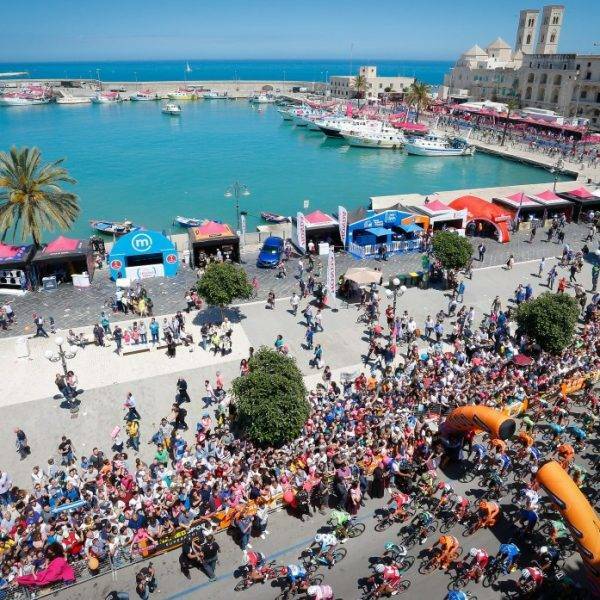 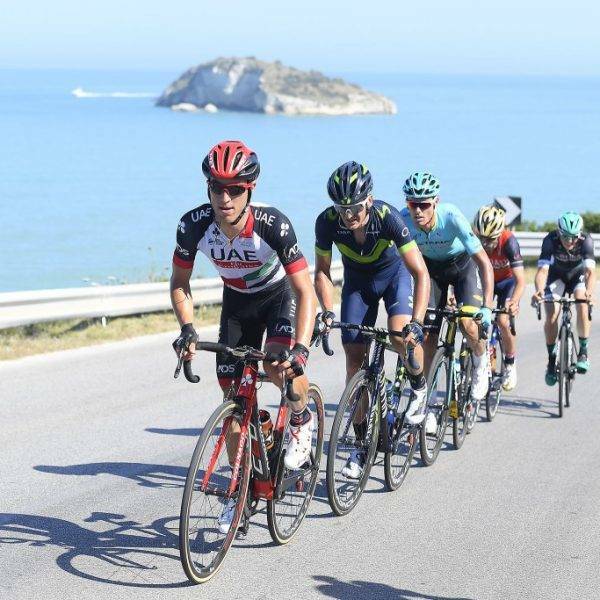 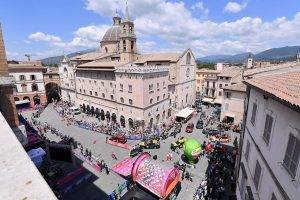 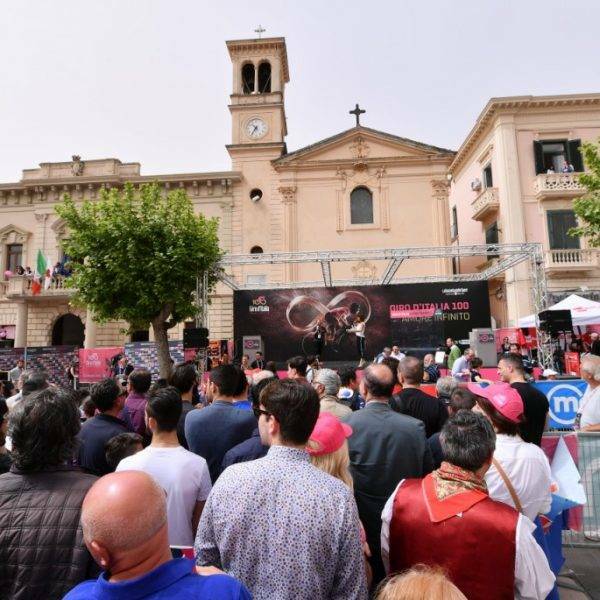 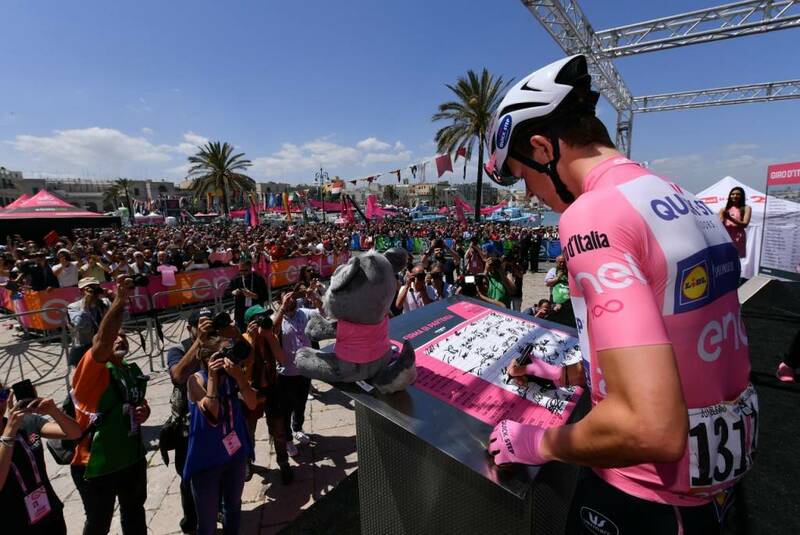 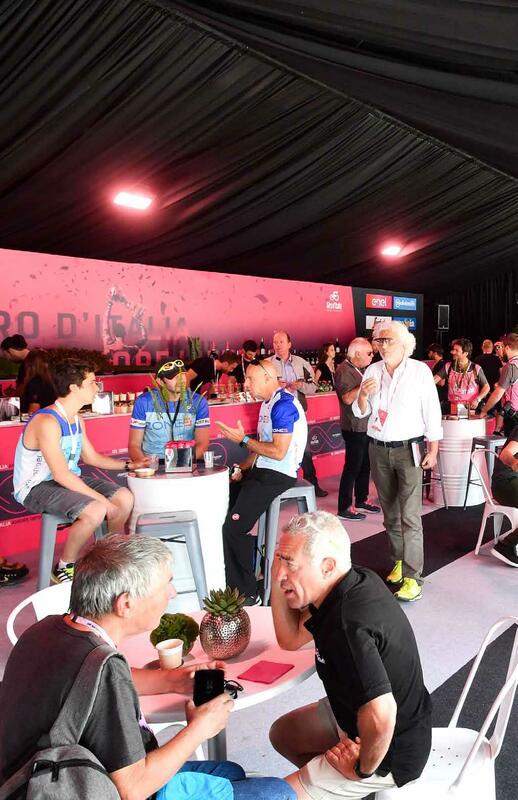 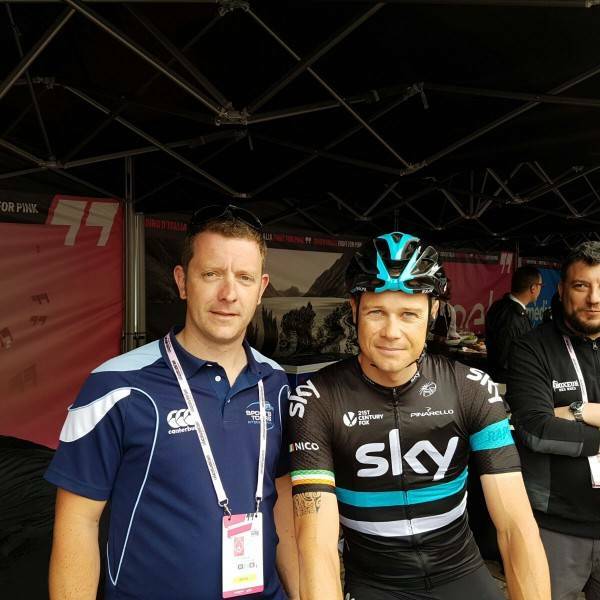 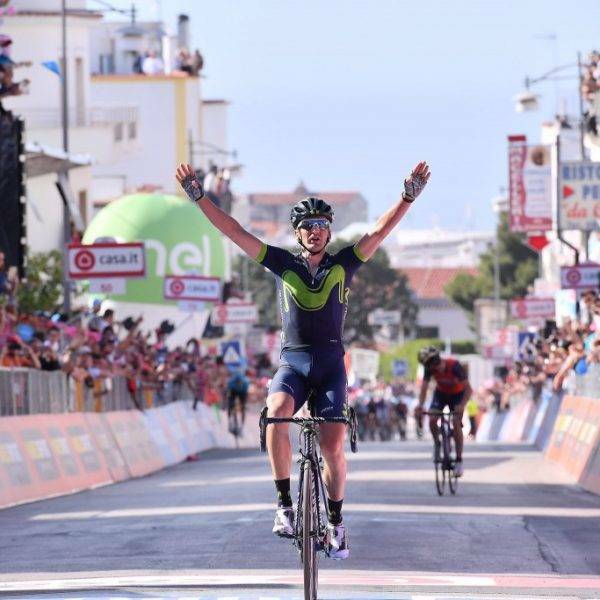 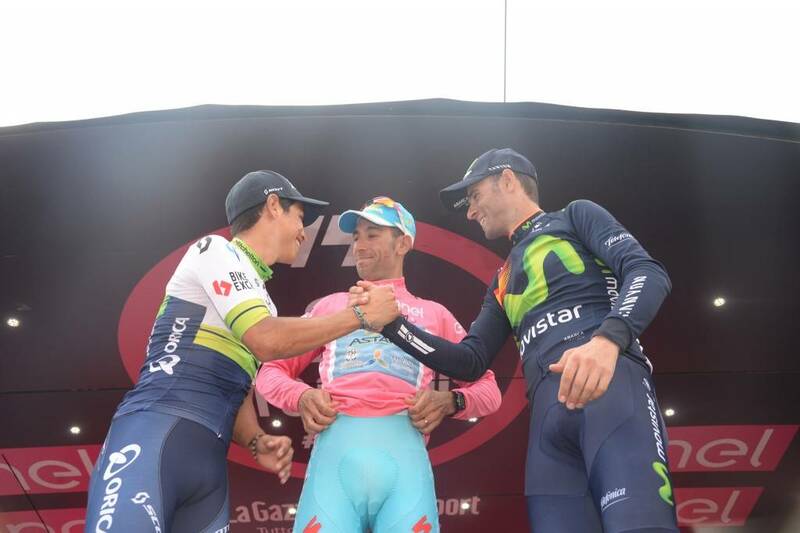 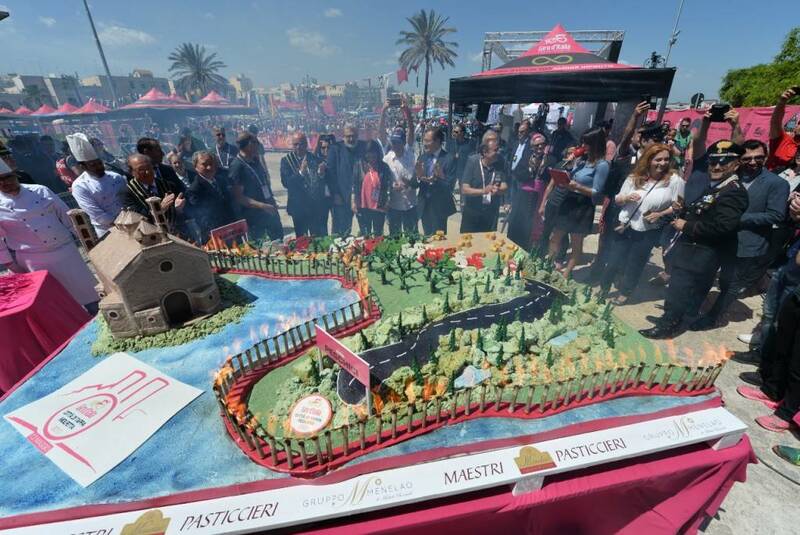 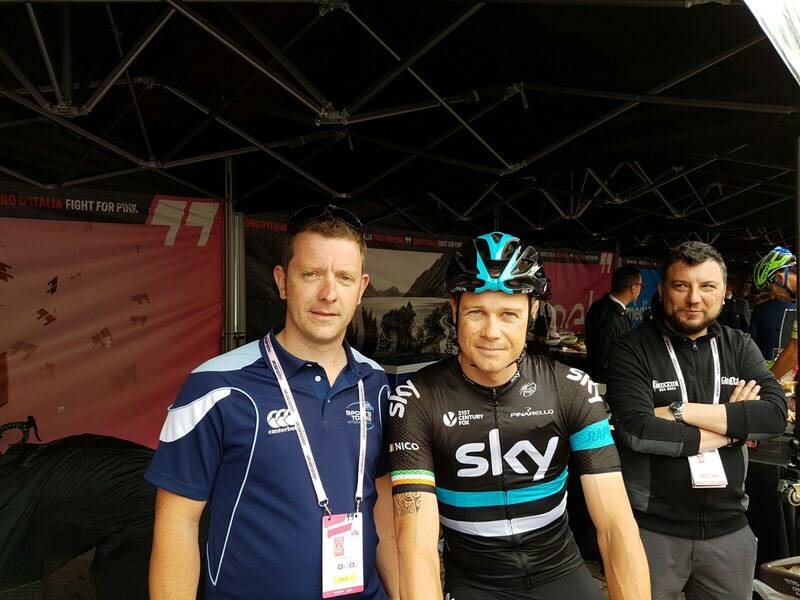 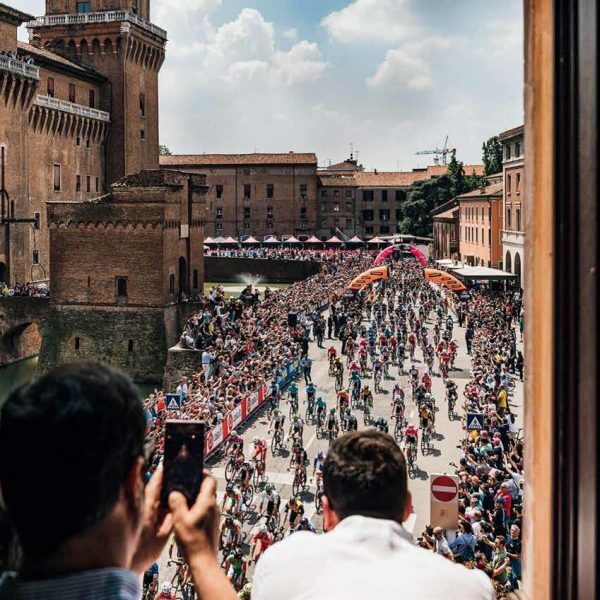 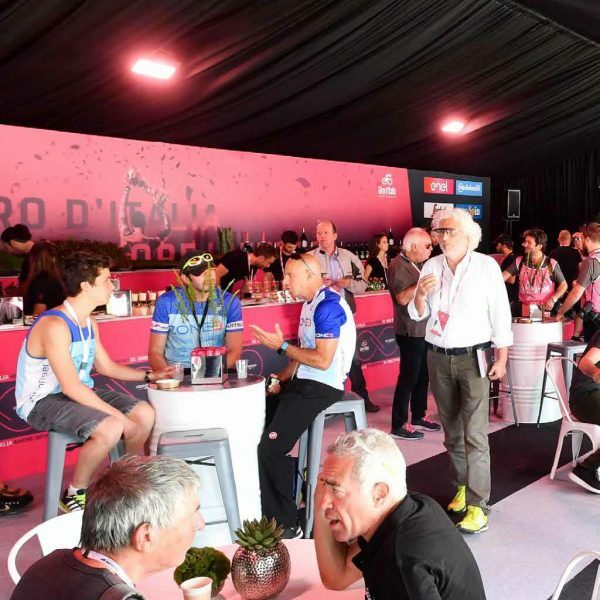 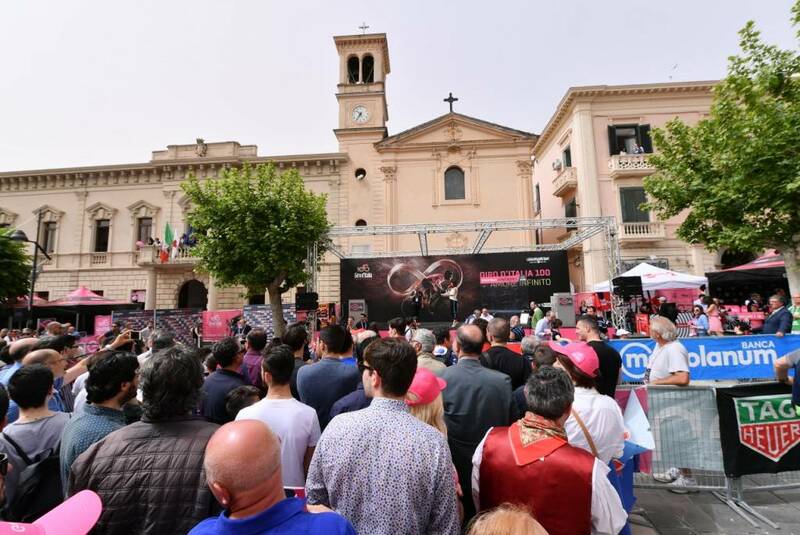 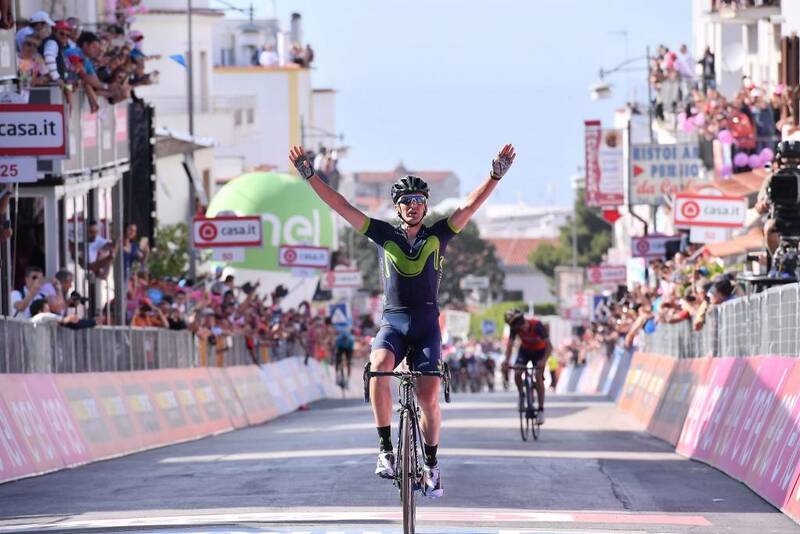 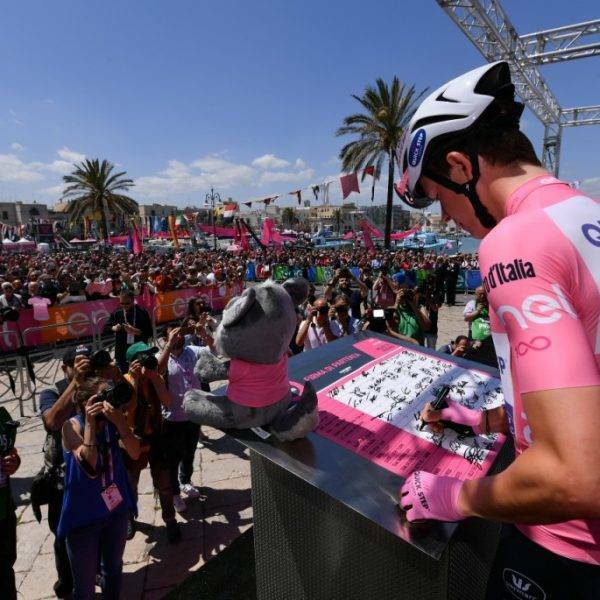 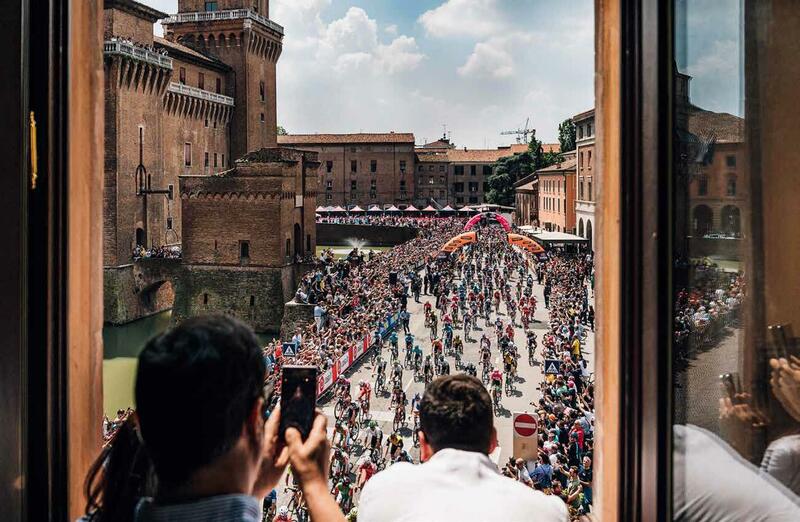 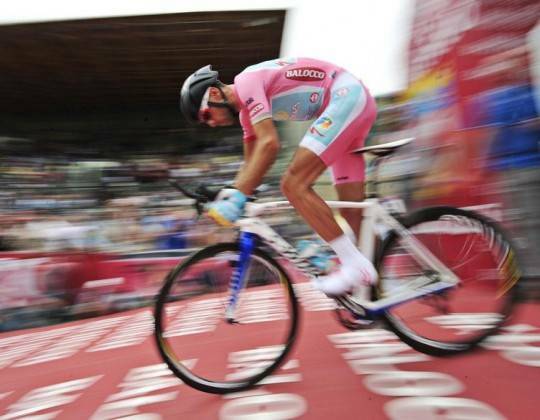 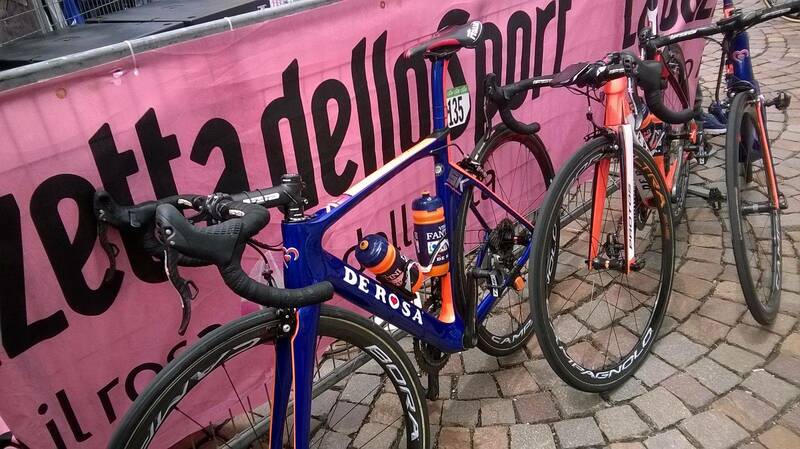 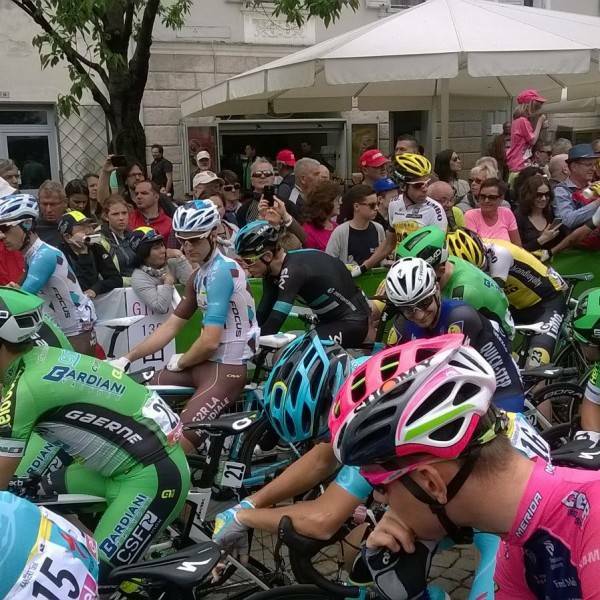 This official 2019 Giro d’Italia tour gives riders and spectators a chance to get a real taste of Giro d’Italia action. 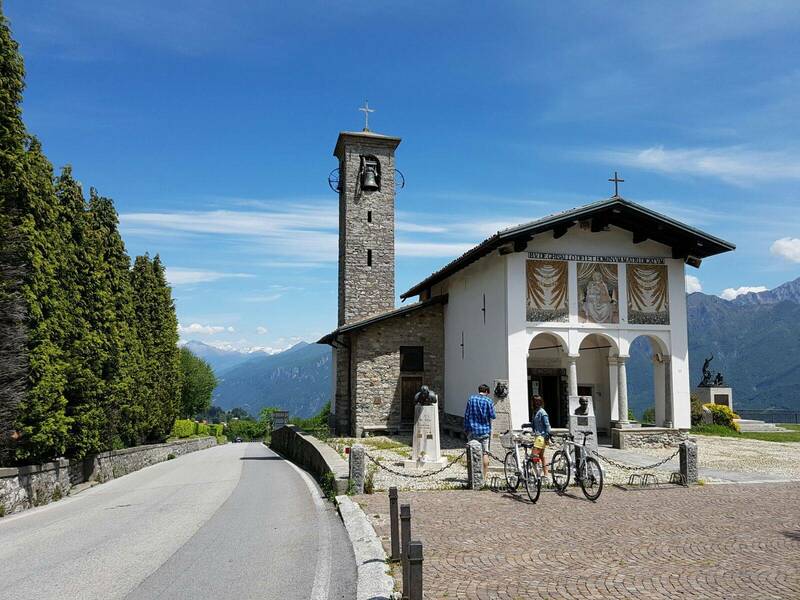 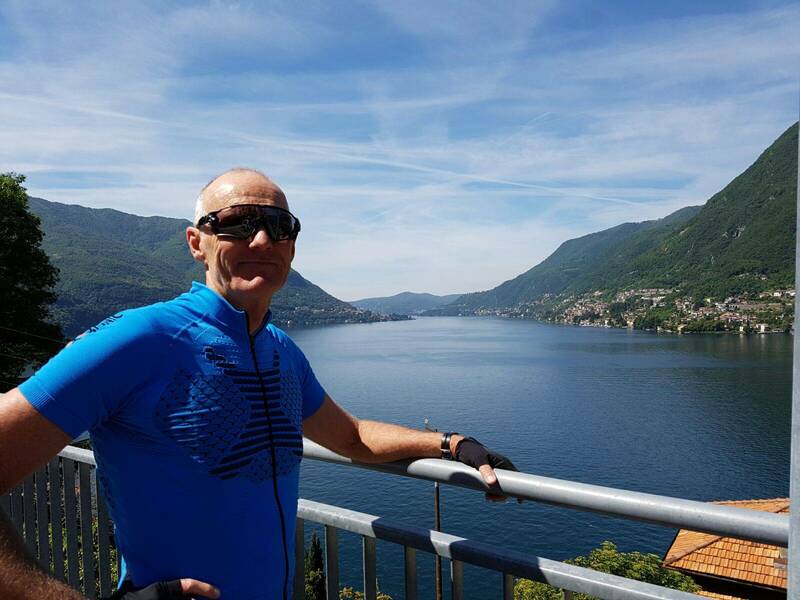 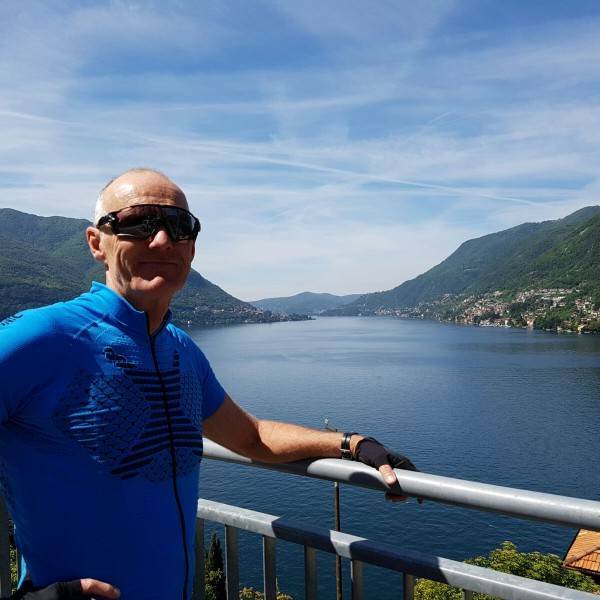 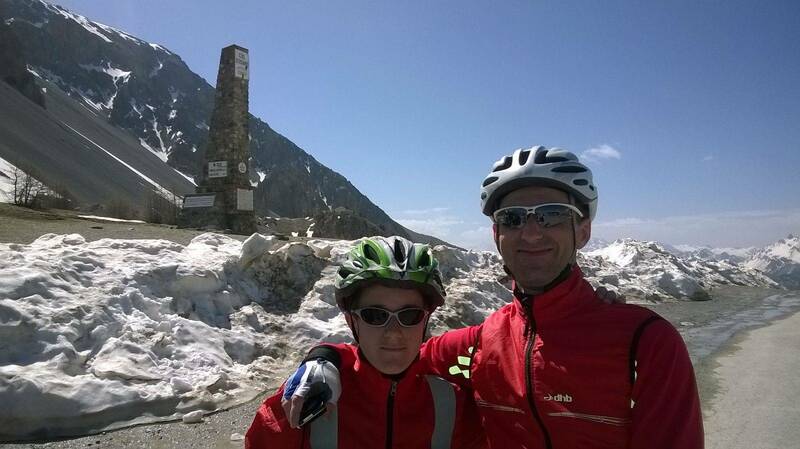 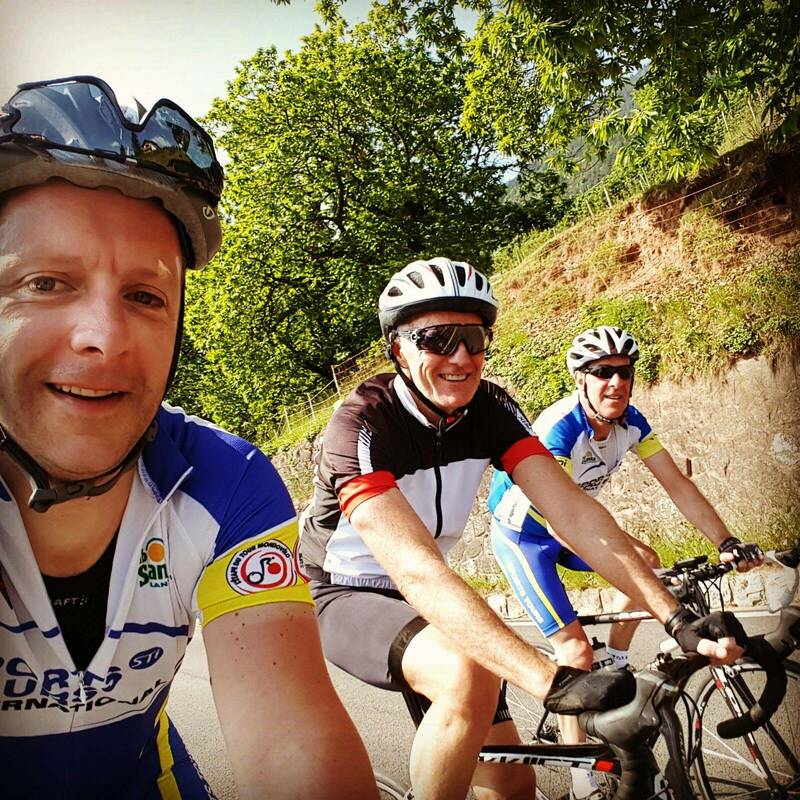 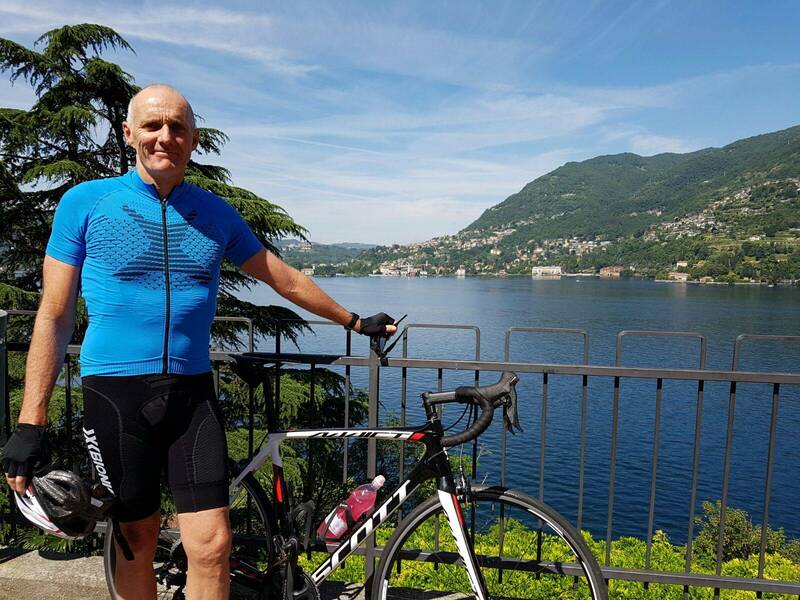 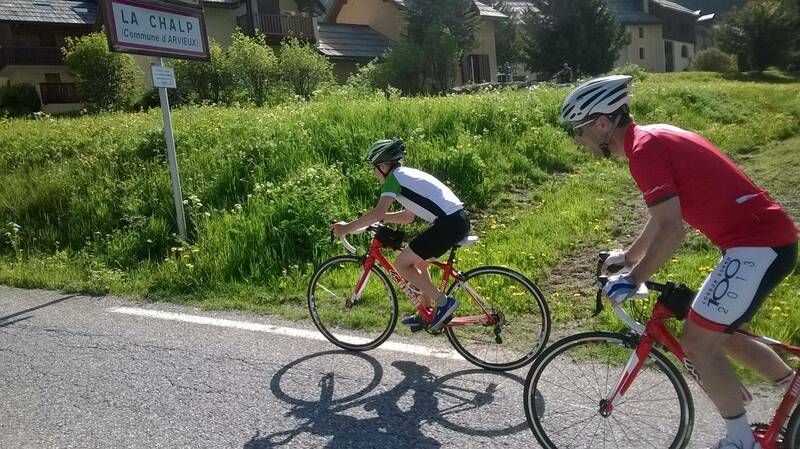 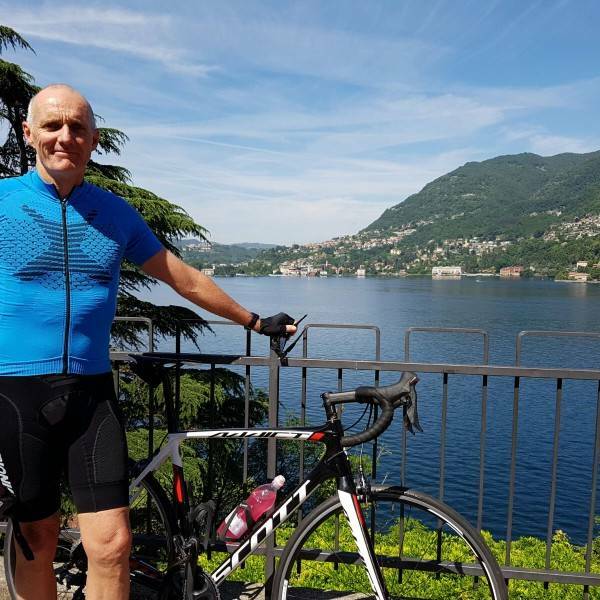 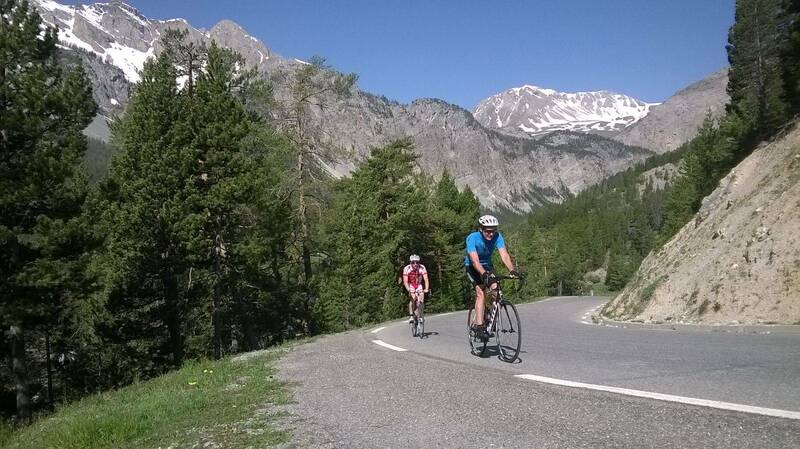 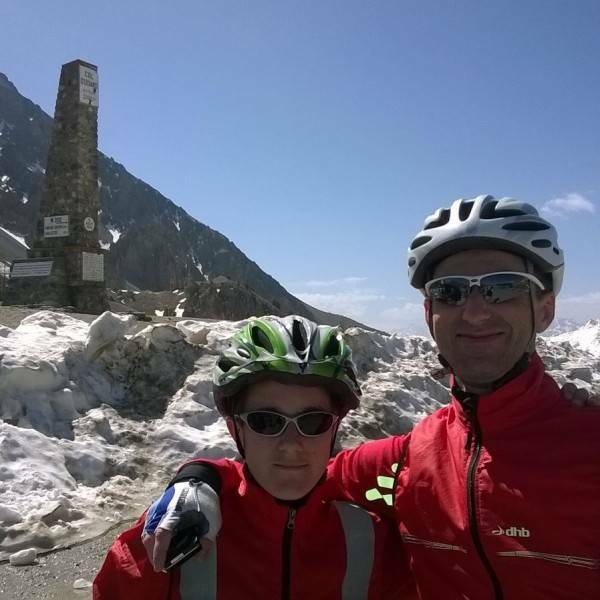 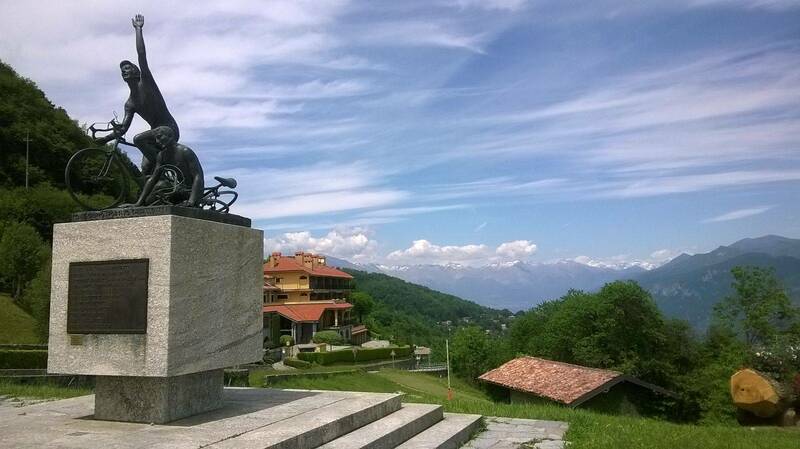 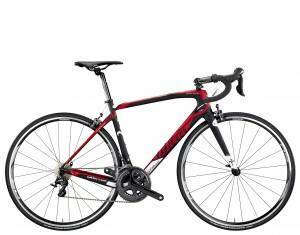 Join us on an exciting 10 days tour filled with great cycling exploring the beautiful Italian countryside. 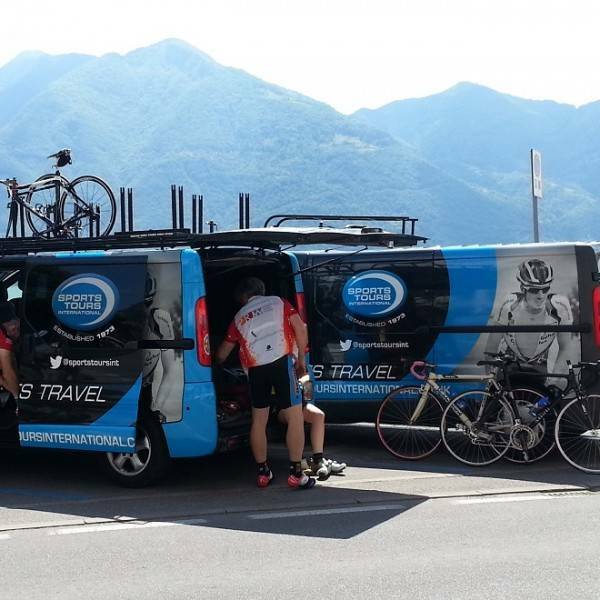 Our team of guides will support you with our customised minibuses. 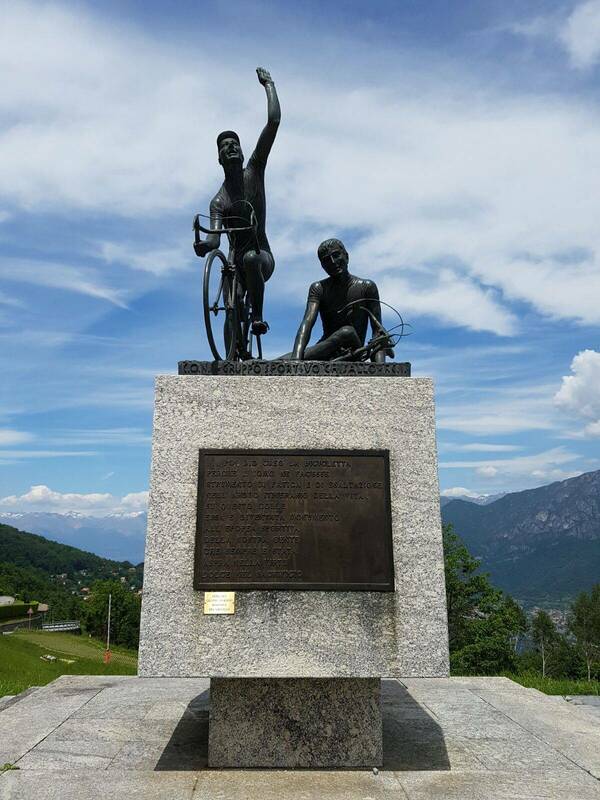 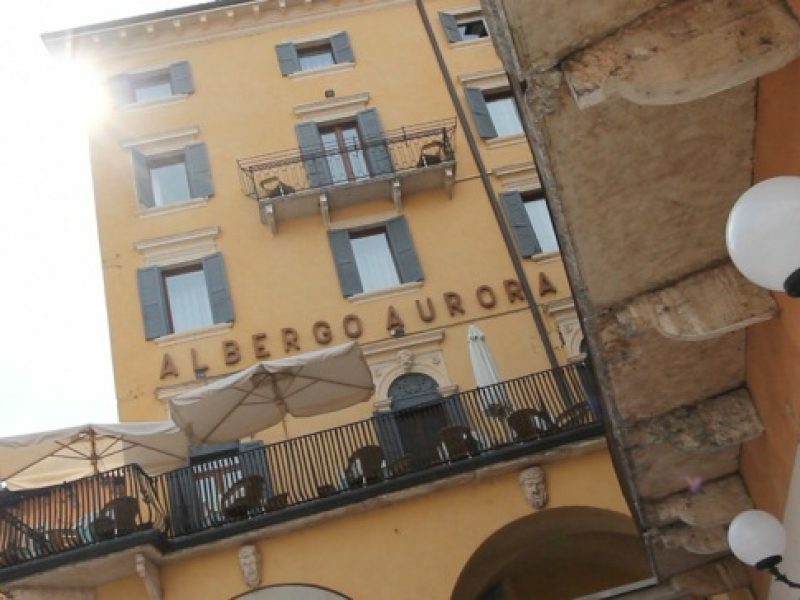 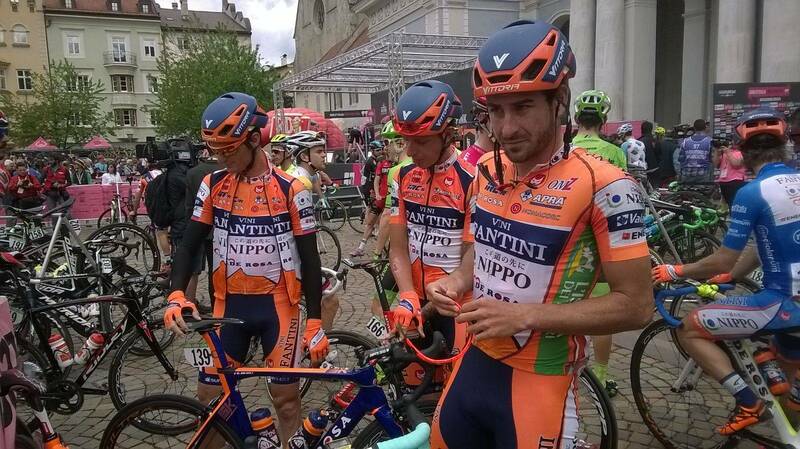 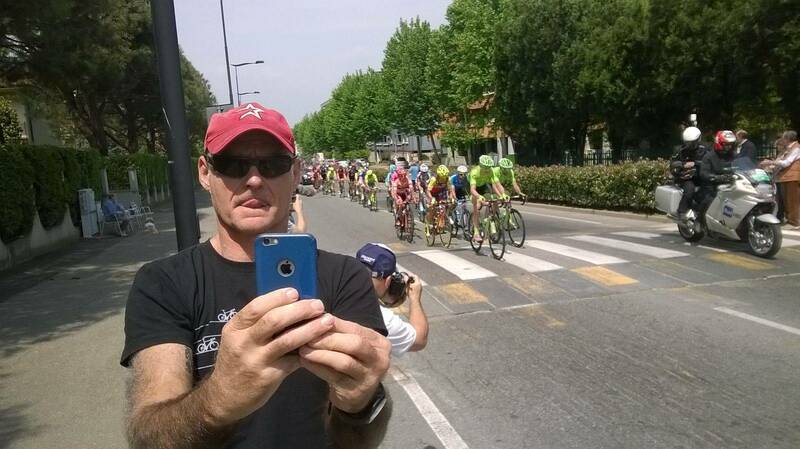 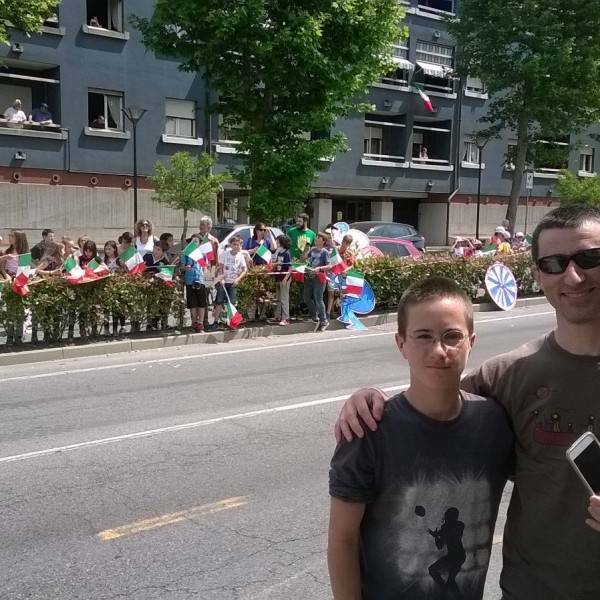 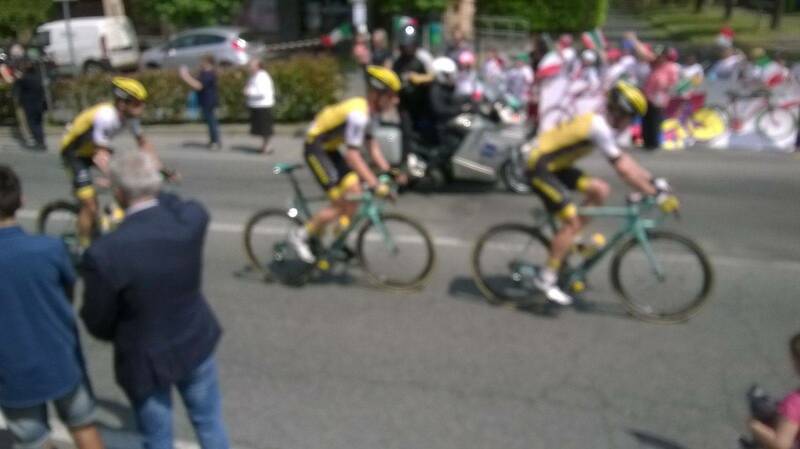 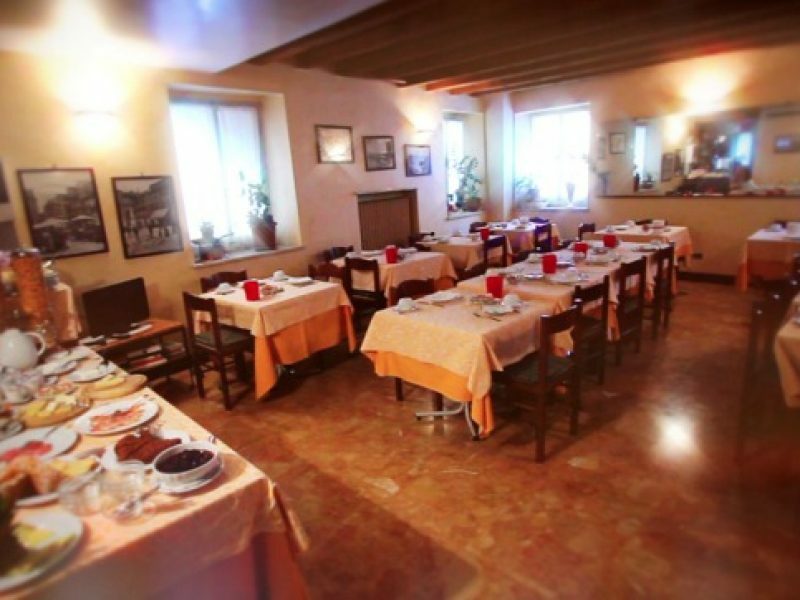 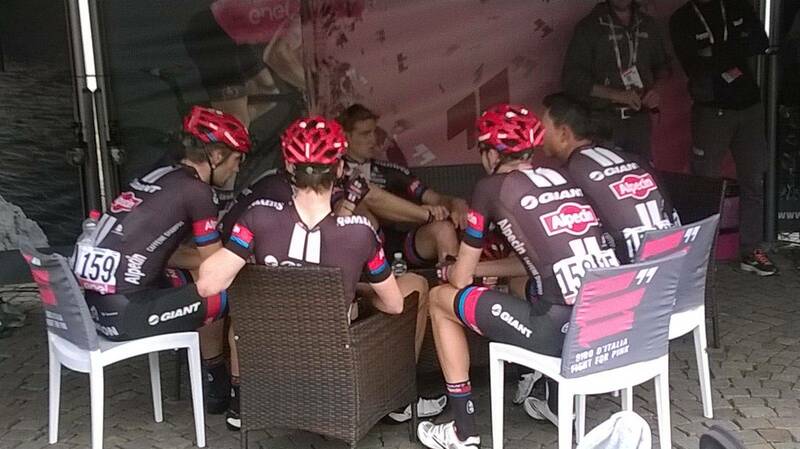 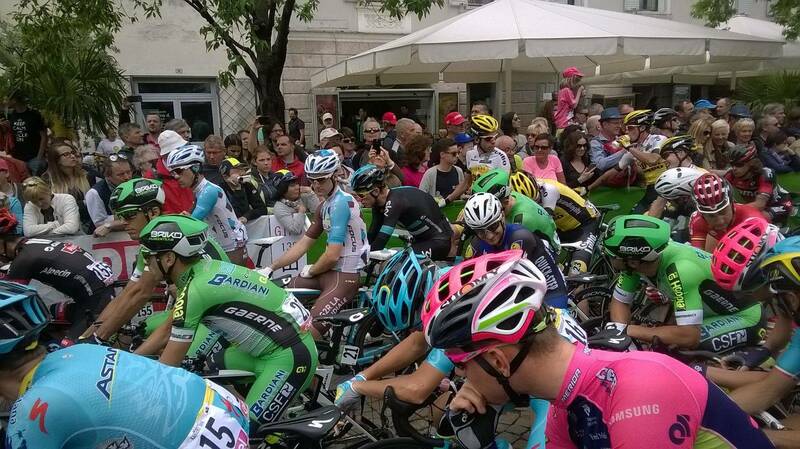 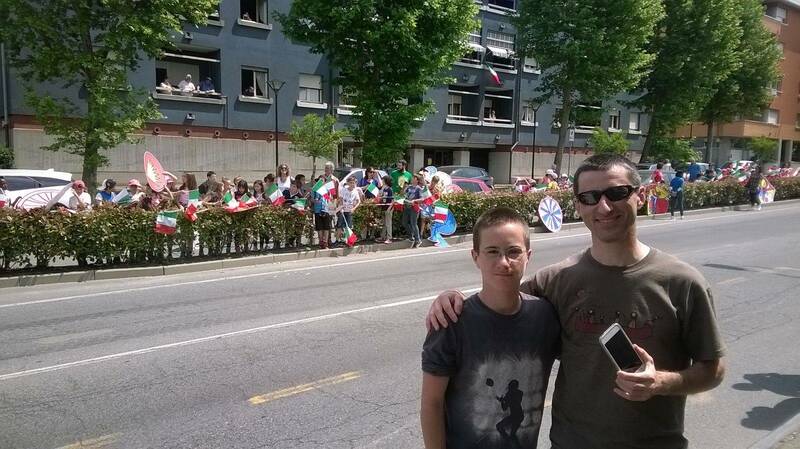 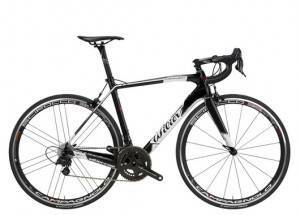 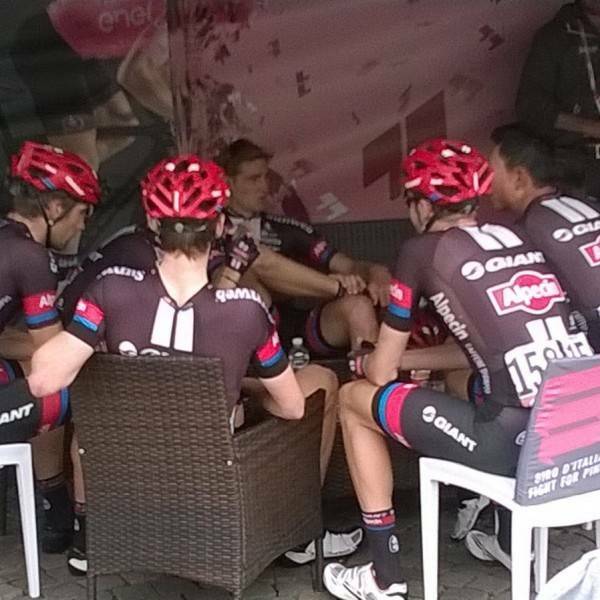 Breakfasts and evening meals (apart from in Verona) are included and both cyclists and spectators are welcome. 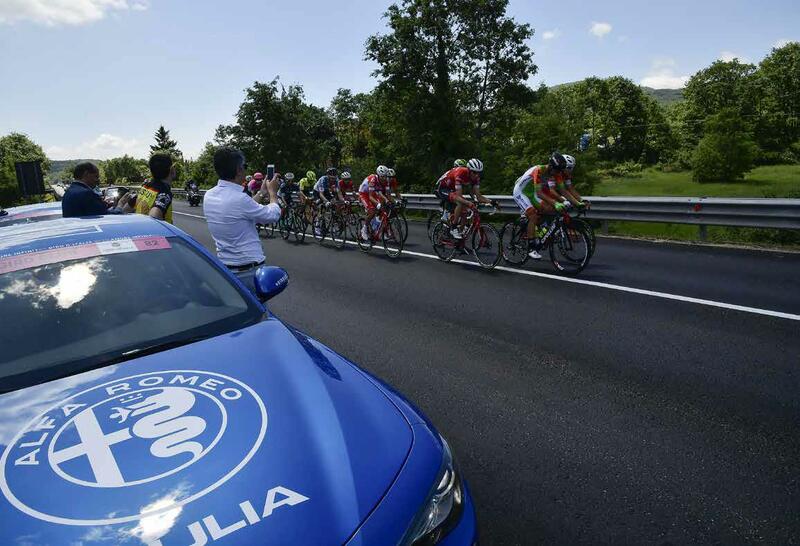 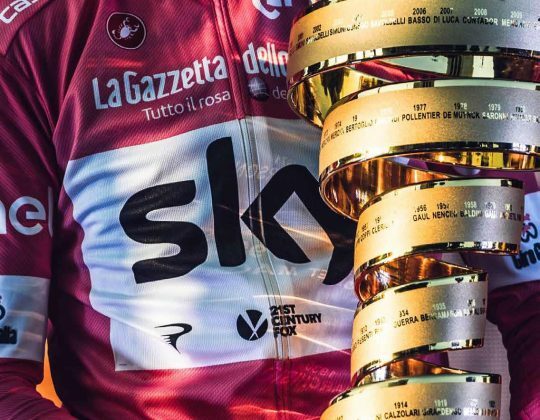 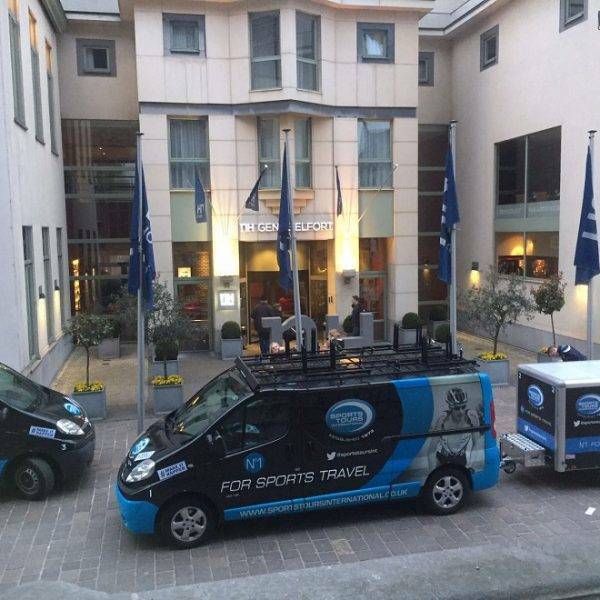 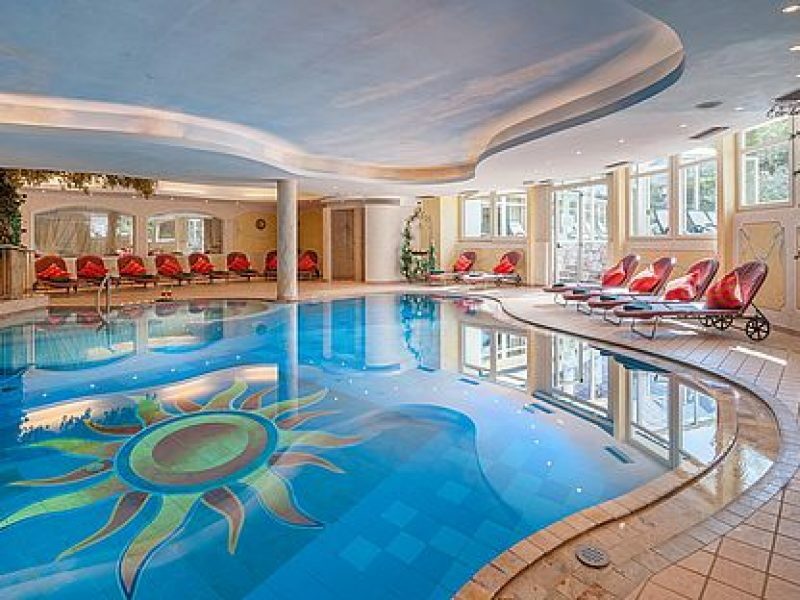 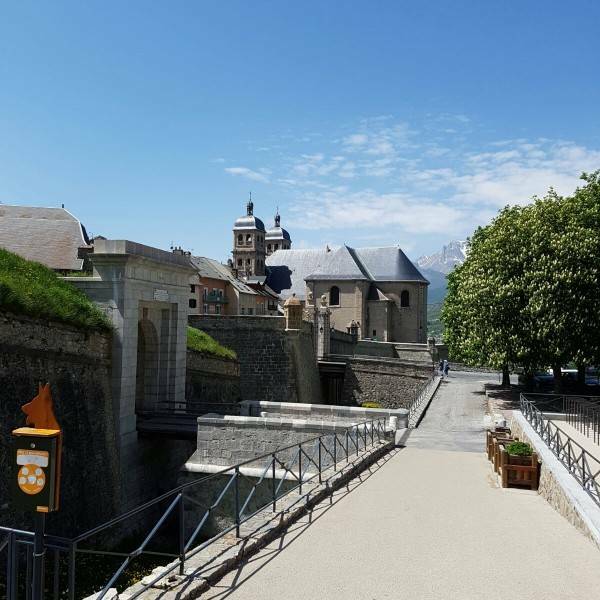 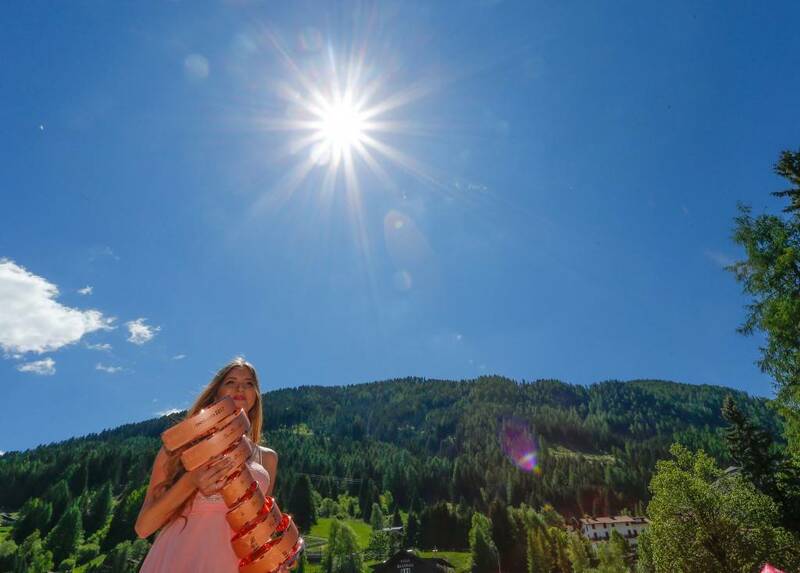 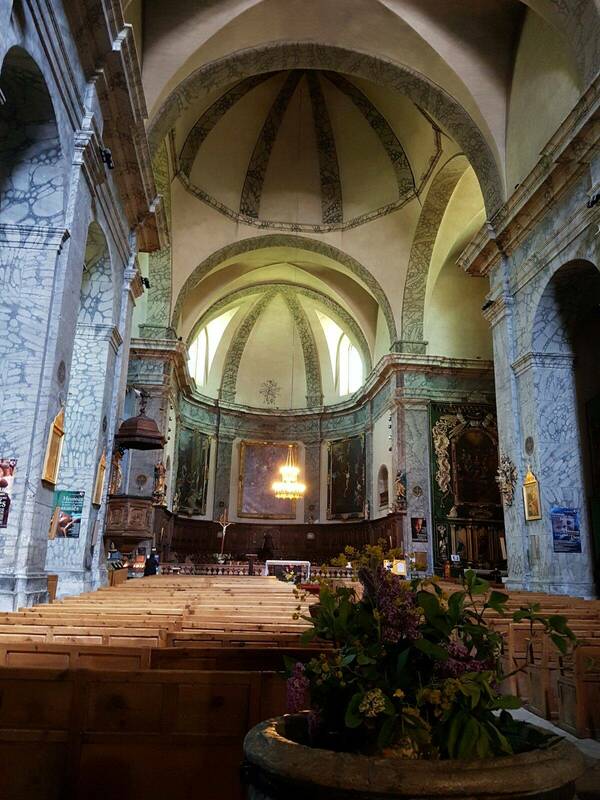 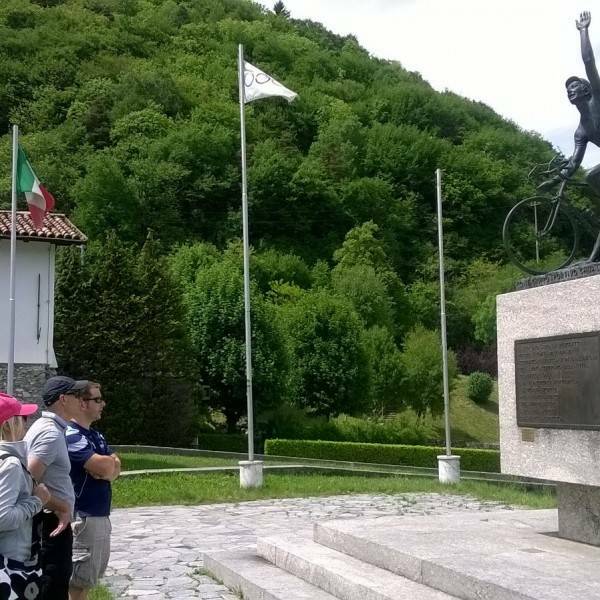 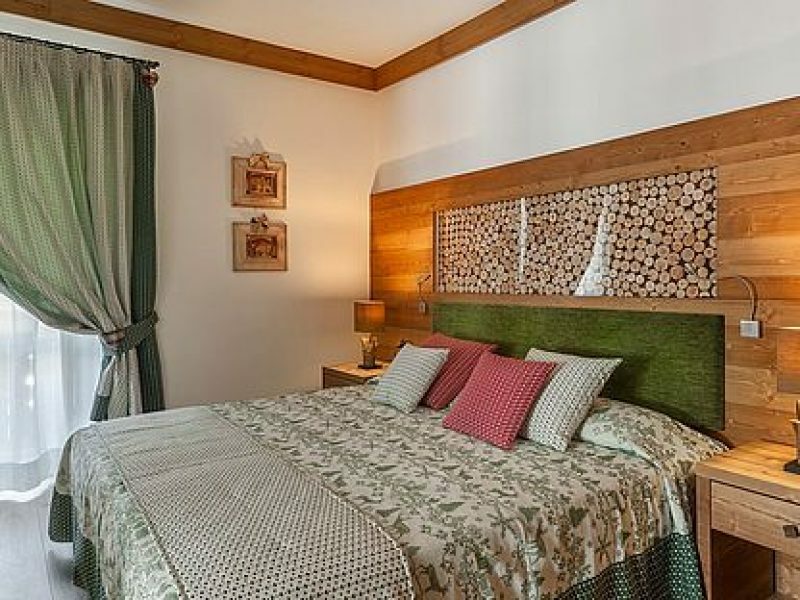 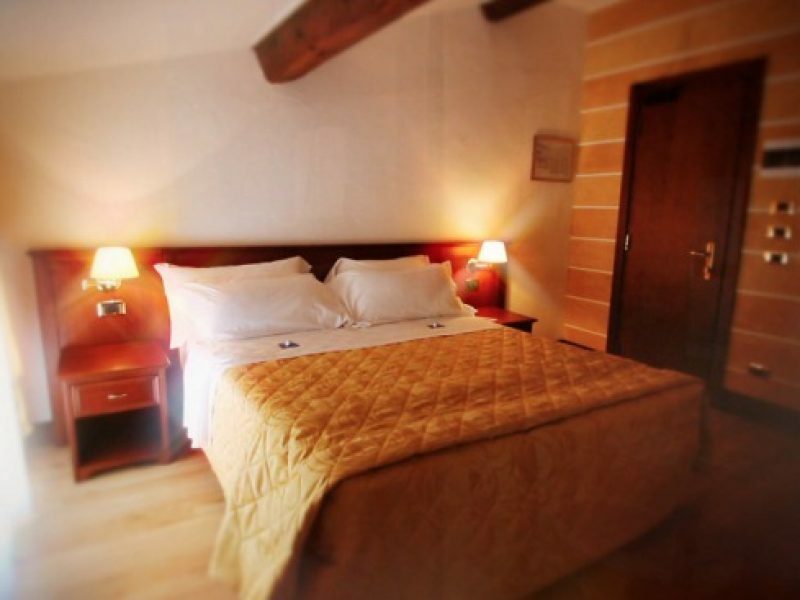 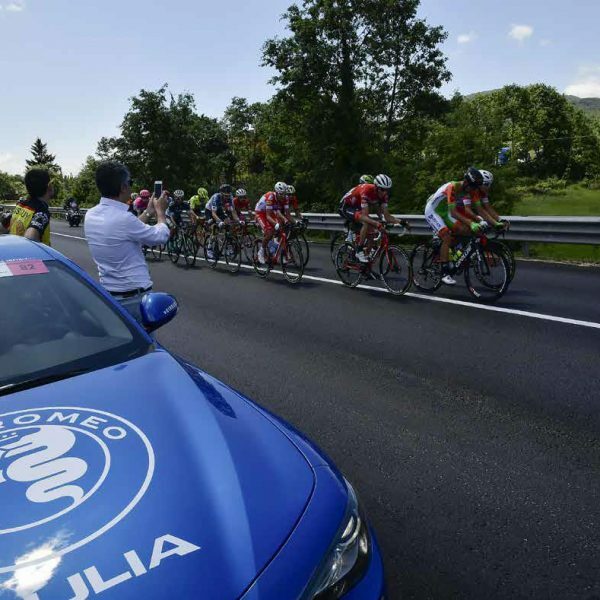 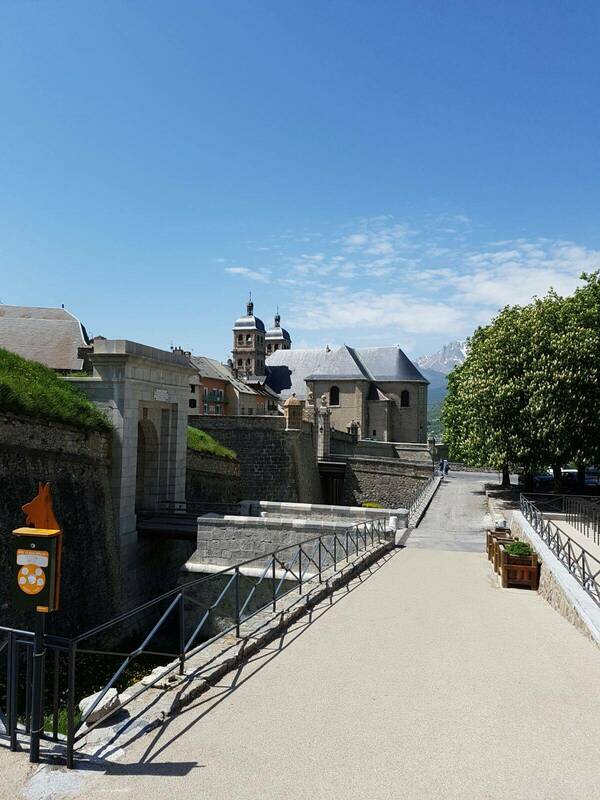 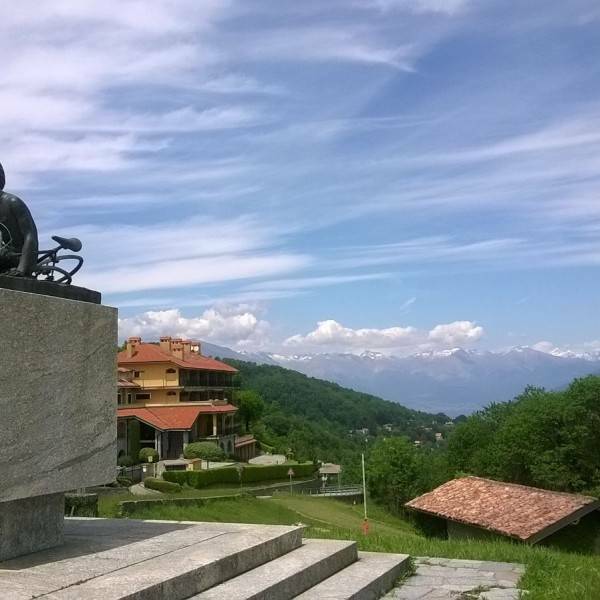 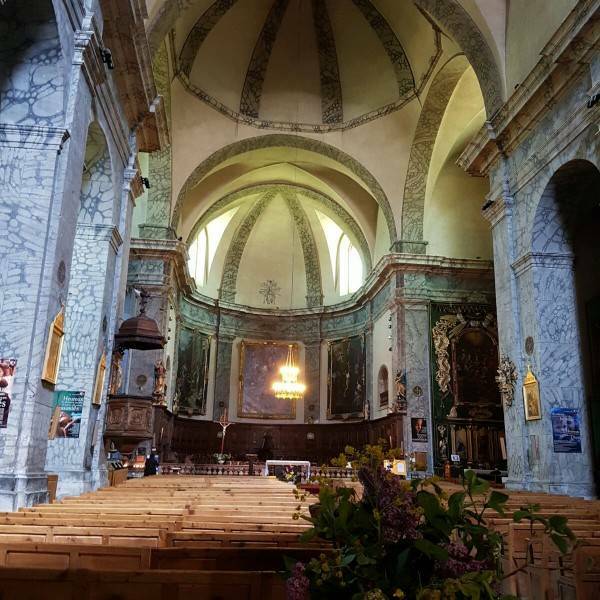 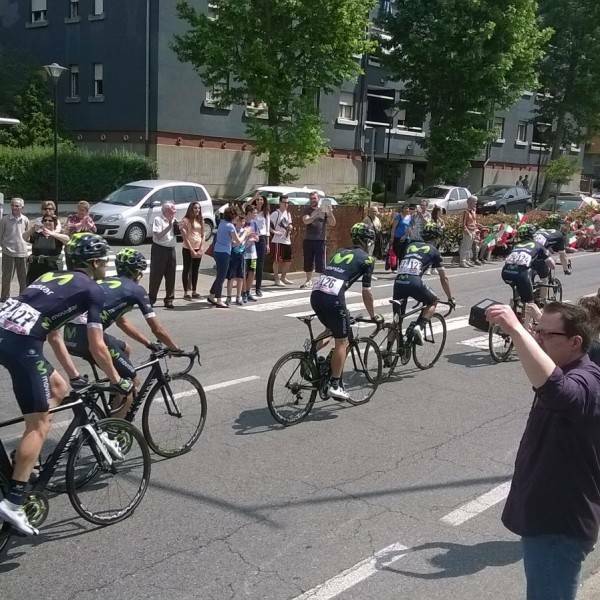 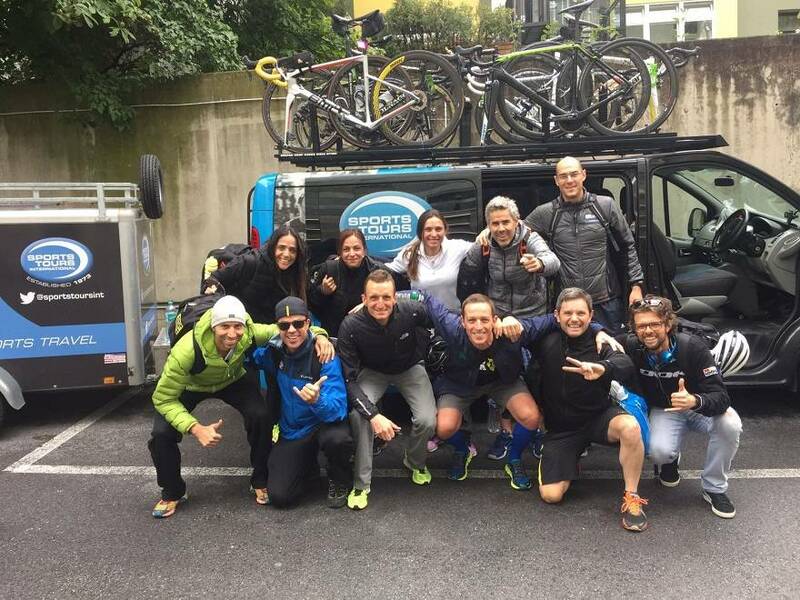 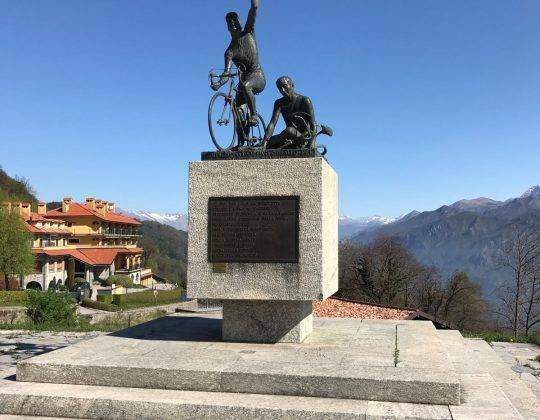 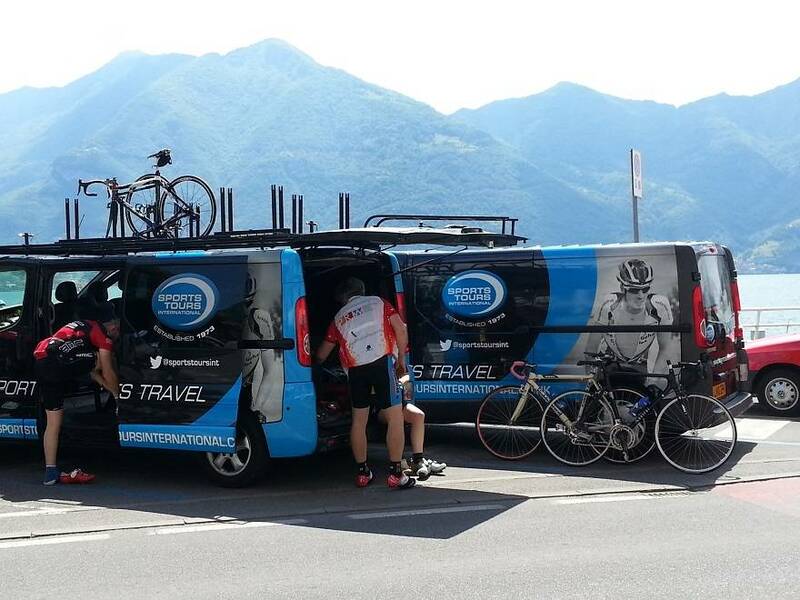 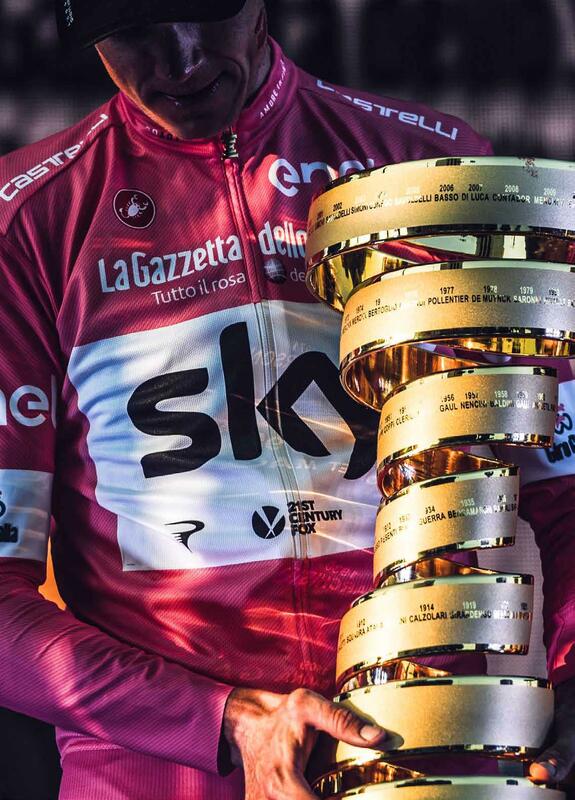 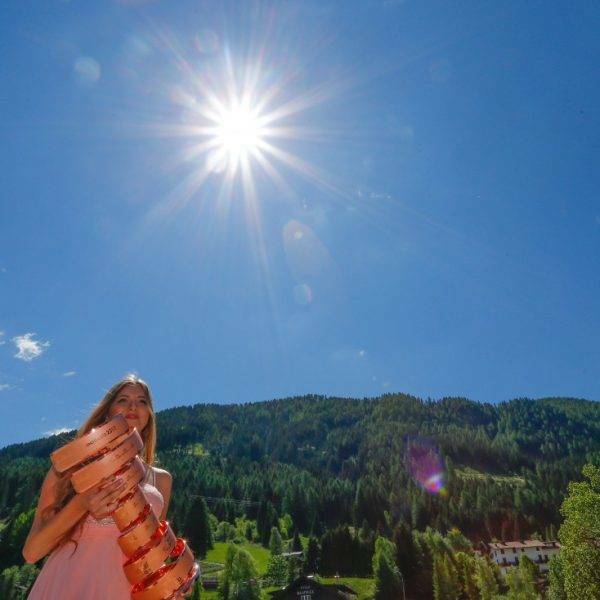 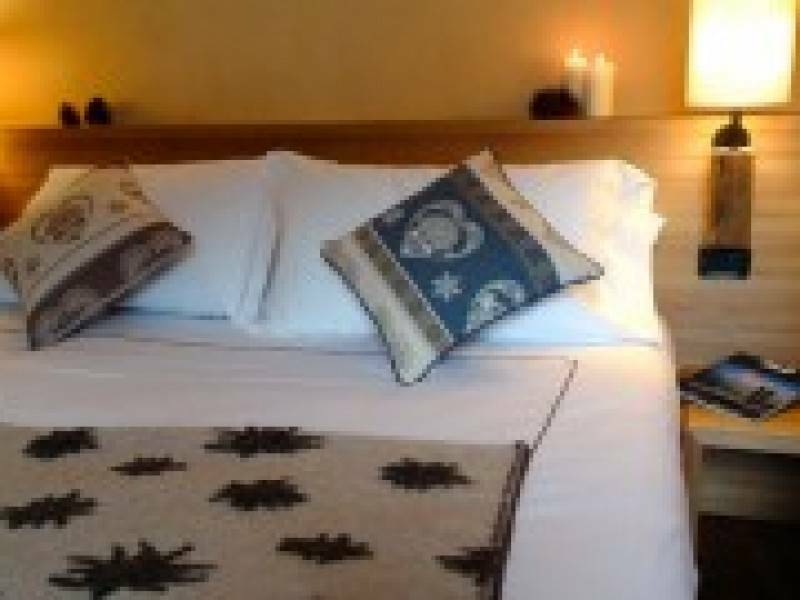 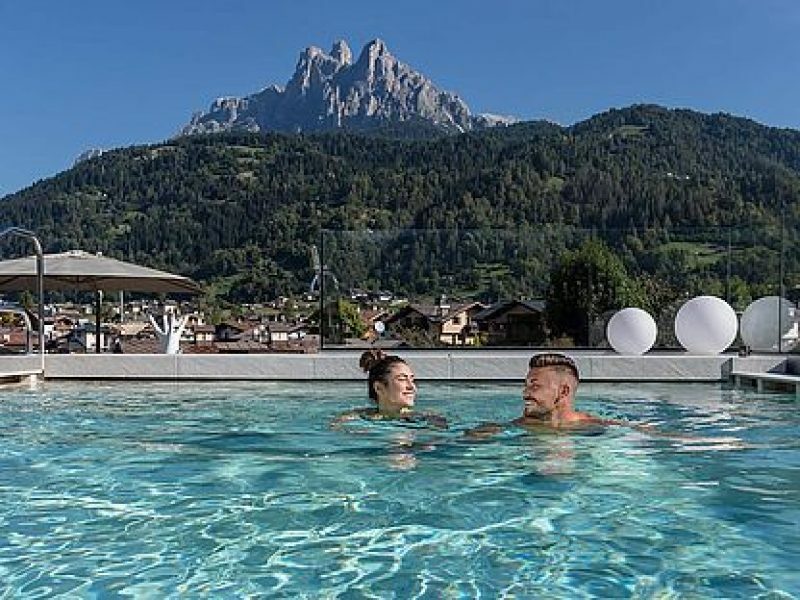 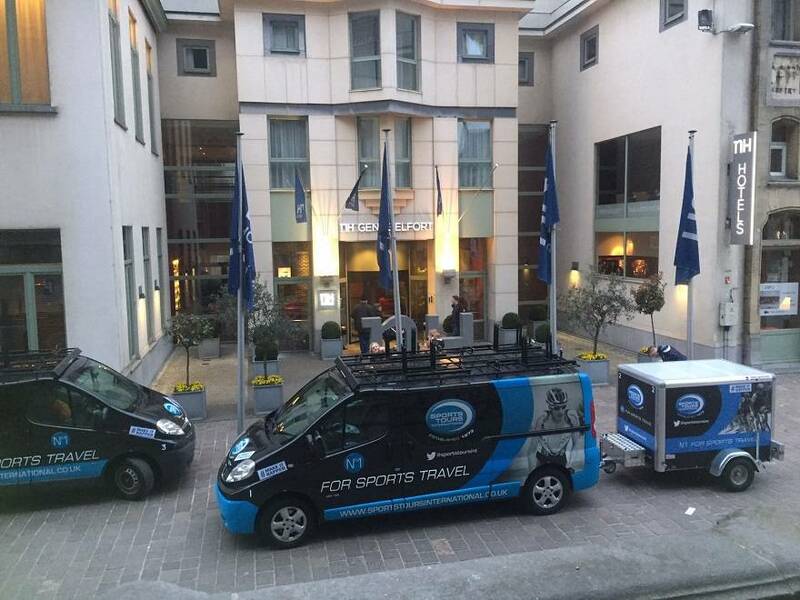 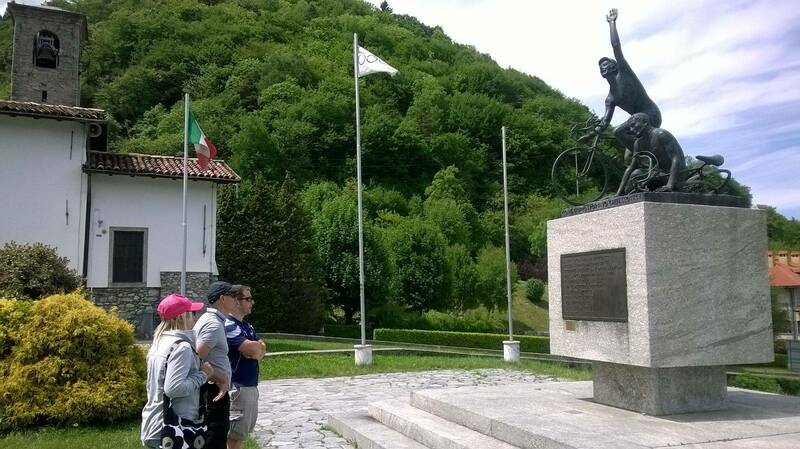 Hotels in the best locations, transport in accredited vehicles, experienced staff support and exclusive official Giro d’Italia VIP experiences are all included in this fantastic tour. 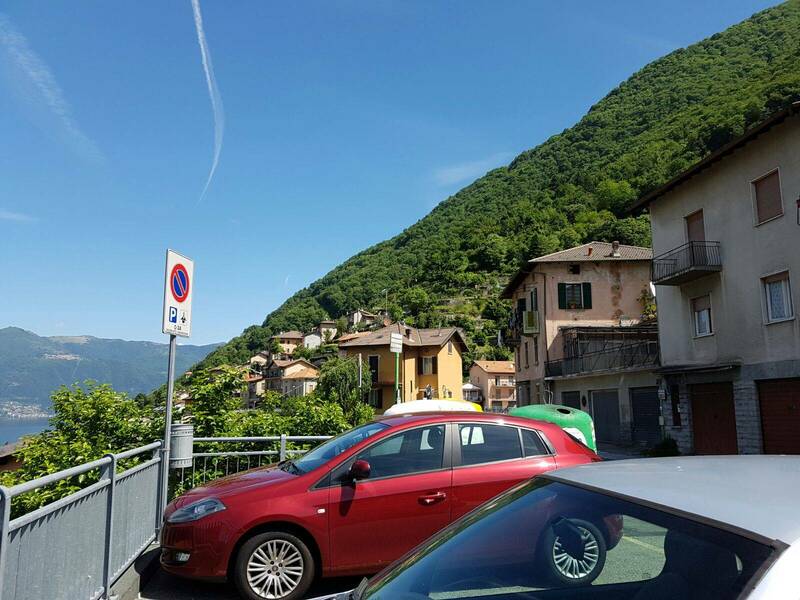 Please arrange to arrive this morning into Milan Malpensa airport. 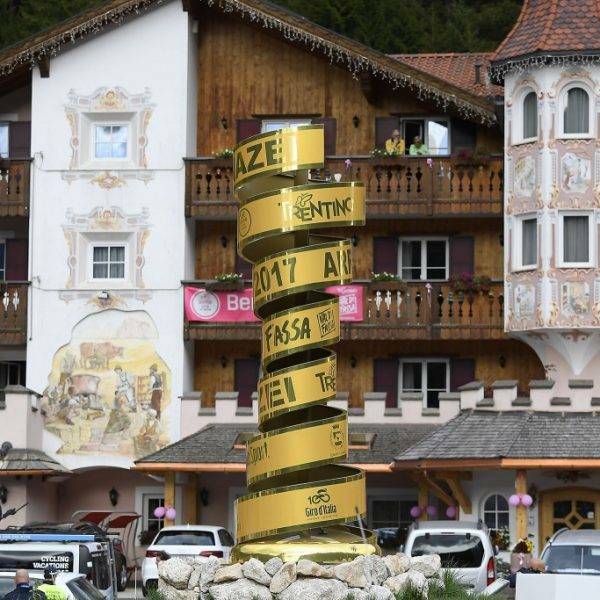 We will provide on airport collection today at 11.00. 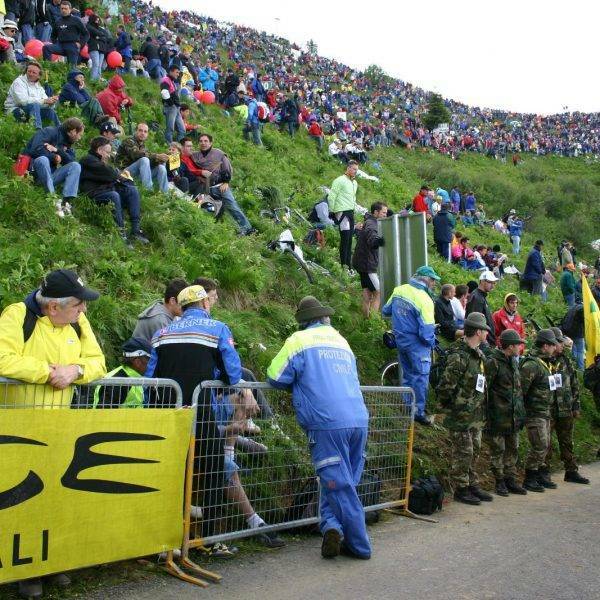 Please ensure that you arrive well before this so you are ready to go at 11.00. 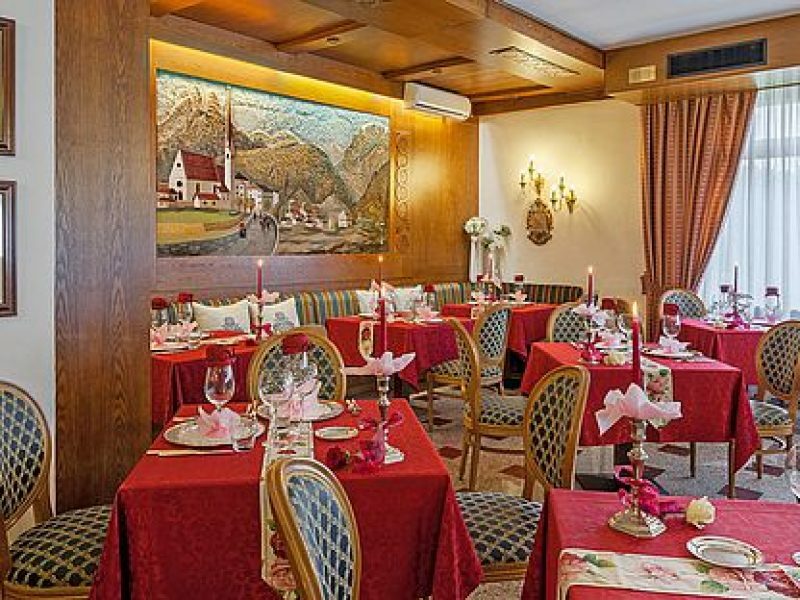 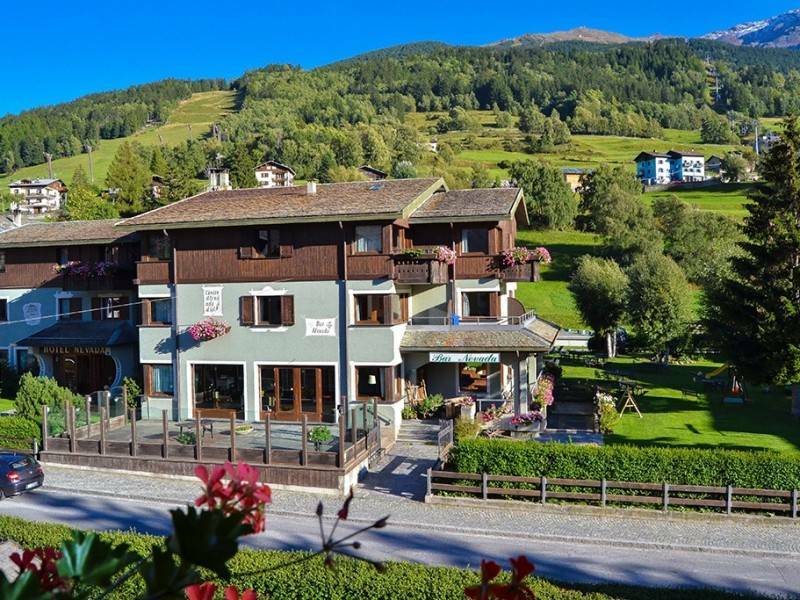 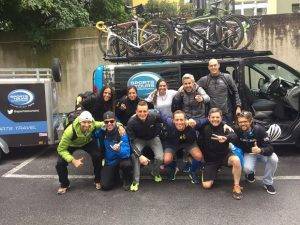 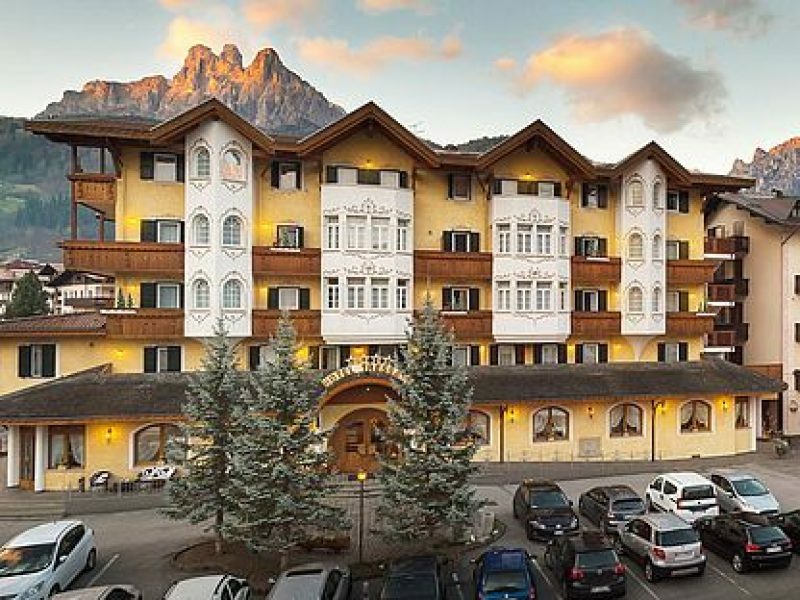 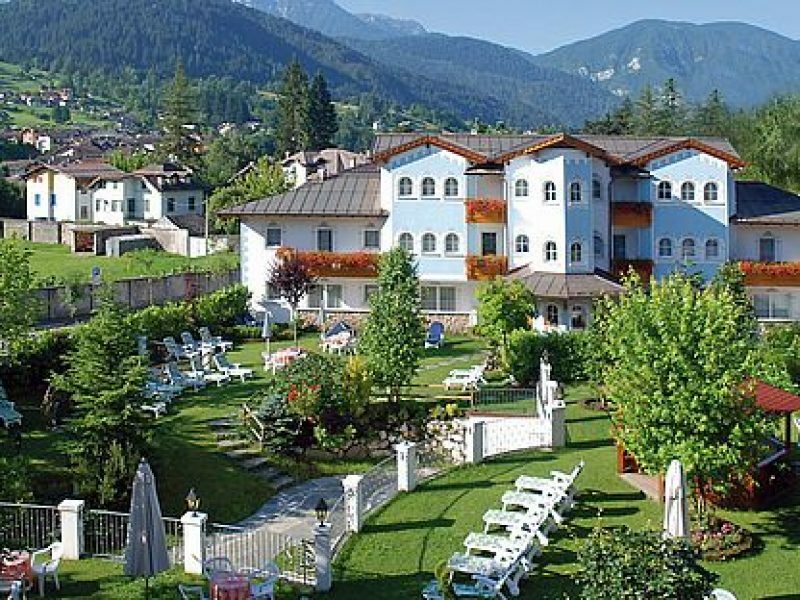 Today we will make our way to Bormio at the foot of the Passo dello Stelvio where we will stay for the next 2 nights at the hotel Nevada with breakfasts and evening meals included. 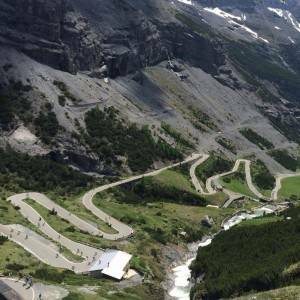 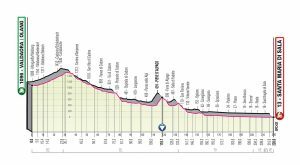 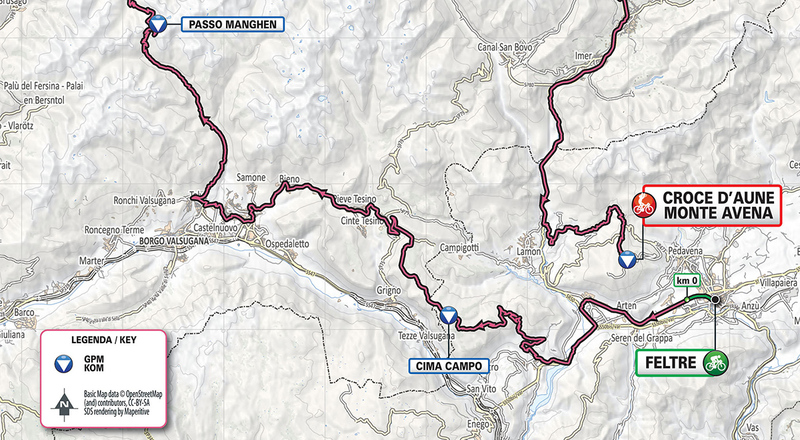 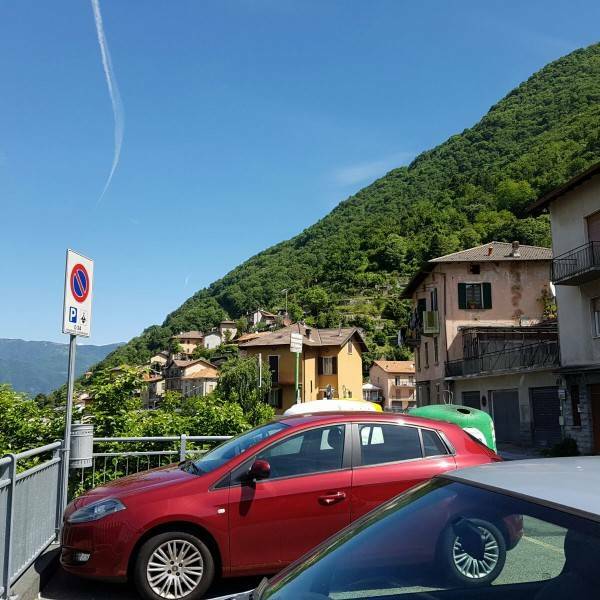 Our journey will take about 3 hours so this afternoon we will get settled into the hotel and we will offer you the opportunity to tackle the mighty Passo dello Stelvio with us. 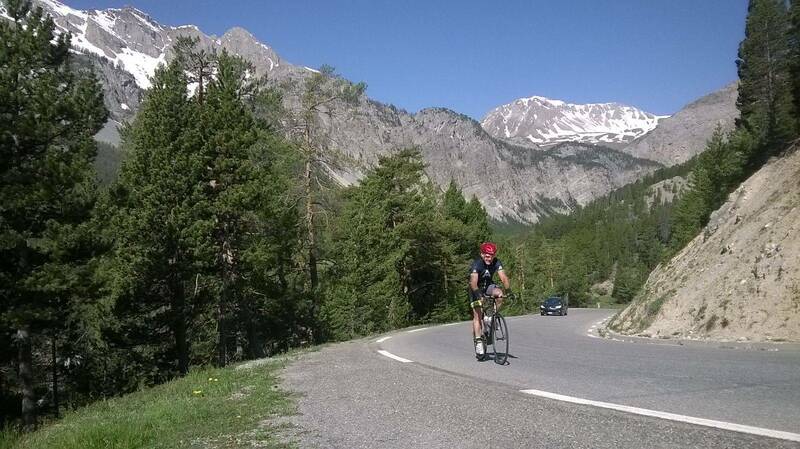 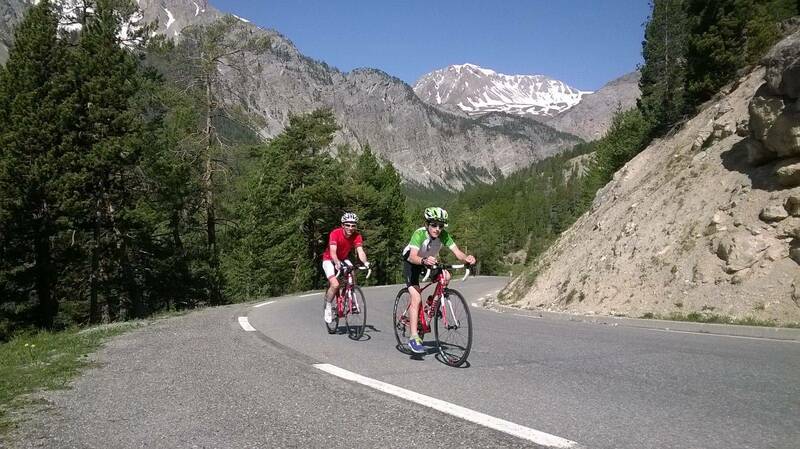 We will ride out from the hotel and back again afterwards we have scaled this iconic mountain.